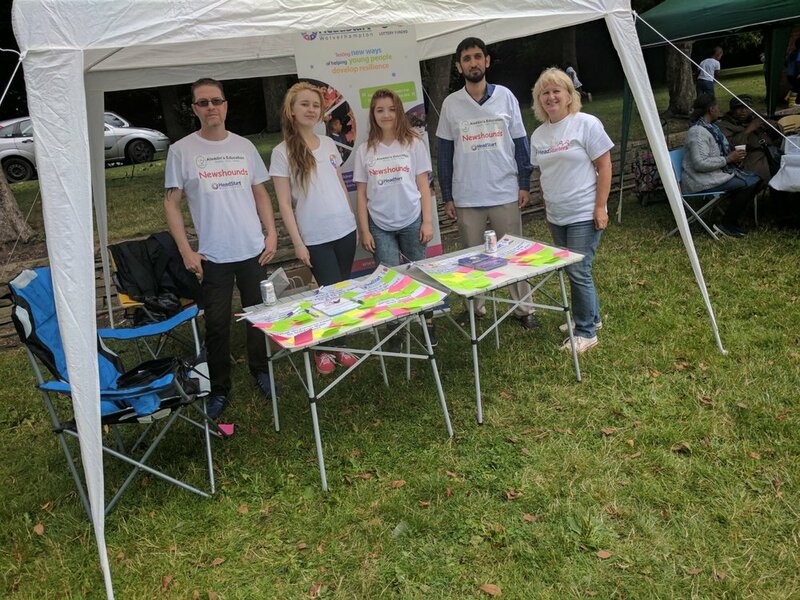 Heathfield International Day, partly funded by HeadStart through Heathfield Park Community Action Network, was a great success on Saturday 22nd July. 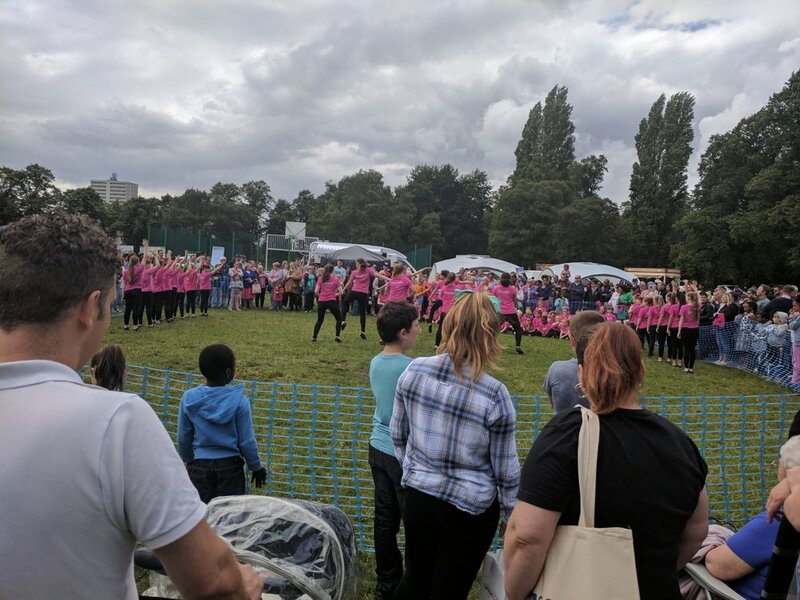 The day was designed to bring together local people in the Heath Town area of the city to find out about local services, including HeadStart, and to have lots of fun; dancing, a gospel choir, face painting and more! 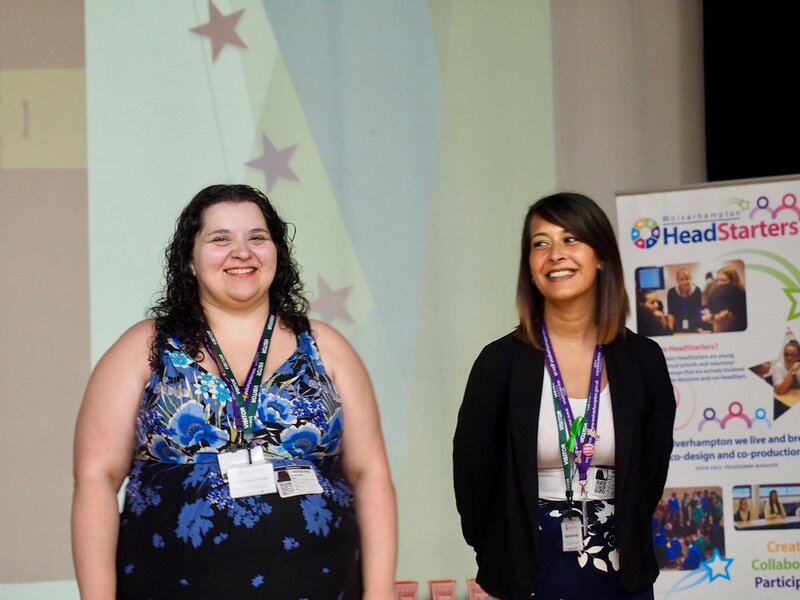 Our HeadStart Community Development Coordinator for the Heath Town / Park Village / Eastfield / Springfield / Old Heath area, Elaine Higgins, was joined by HeadStart Ambassadors Christina and Rebecca. 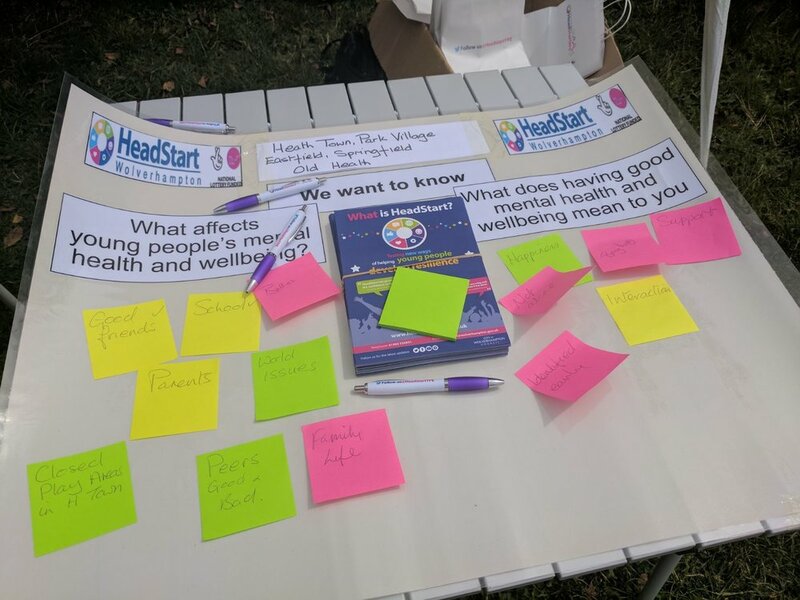 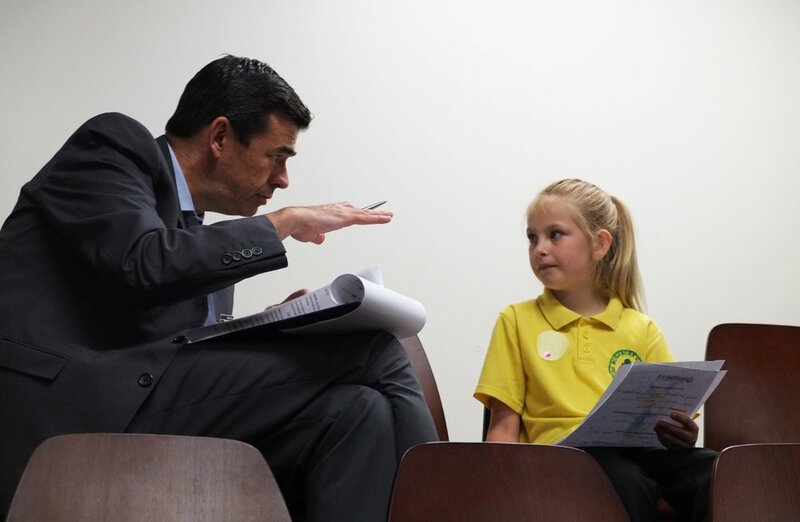 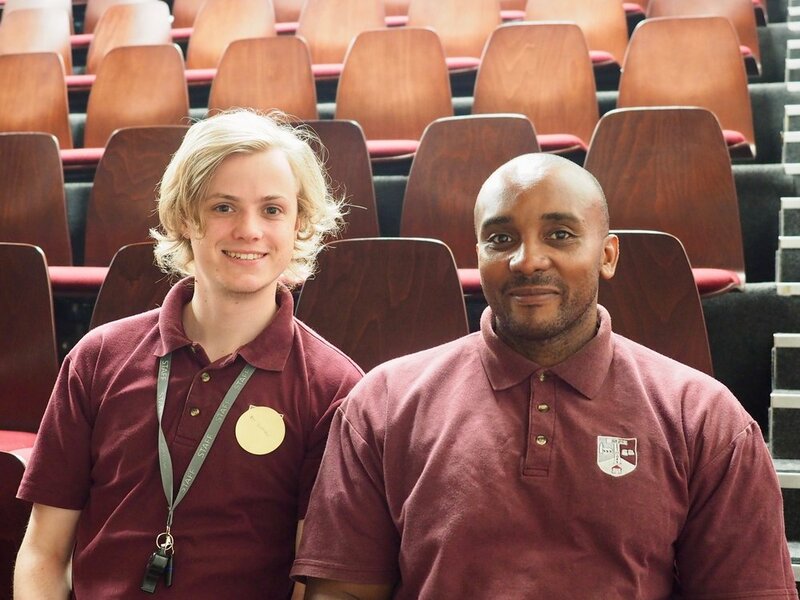 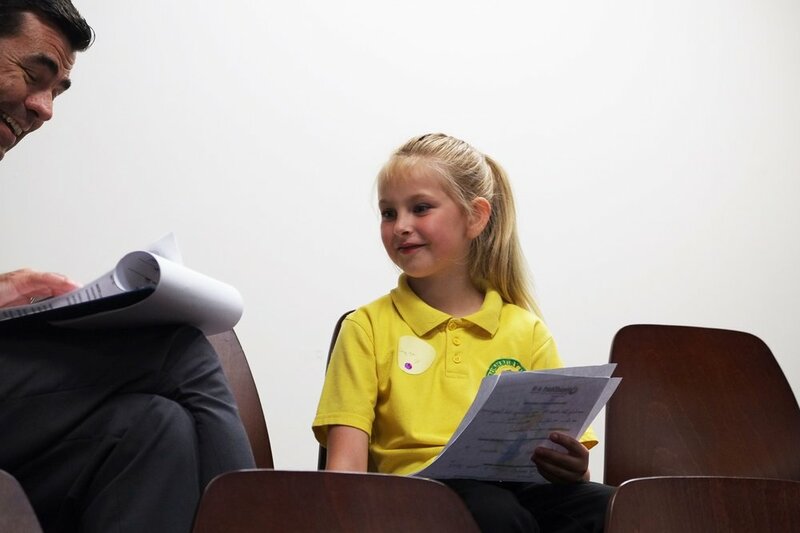 They spoke to members of the public, shared details of the HeadStart Summer Programme (and HeadStart more generally), and sought views and ideas on the challenges of mental well-being in young people, and how local services can support them. 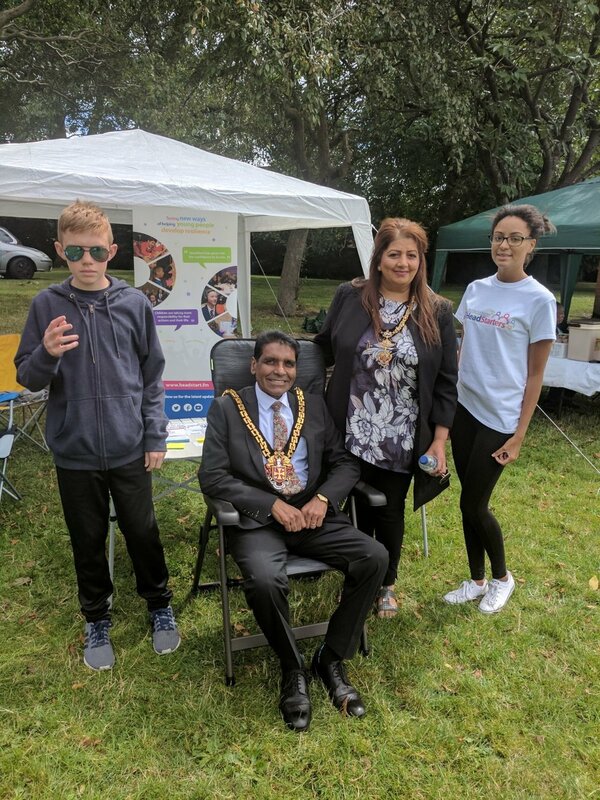 The HeadStart team were also delighted to be joined on the stand by The Mayor Of Wolverhampton, Councillor Elias Mattu, and the Mayoress Asha Mattu. 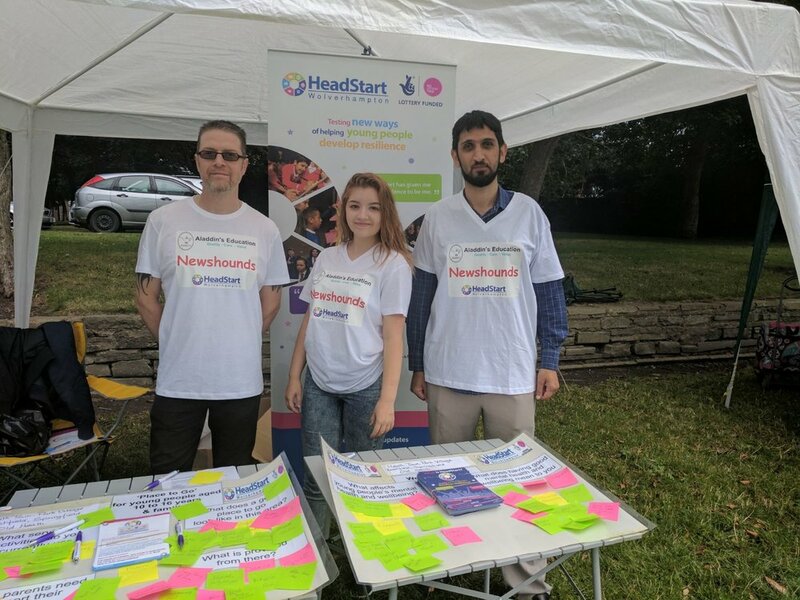 Our HeadStart newshounds for this area of the city, from Park Village Tuition Centre, were on hand to record interviews / vox pops and to take photos of the events of the afternoon. 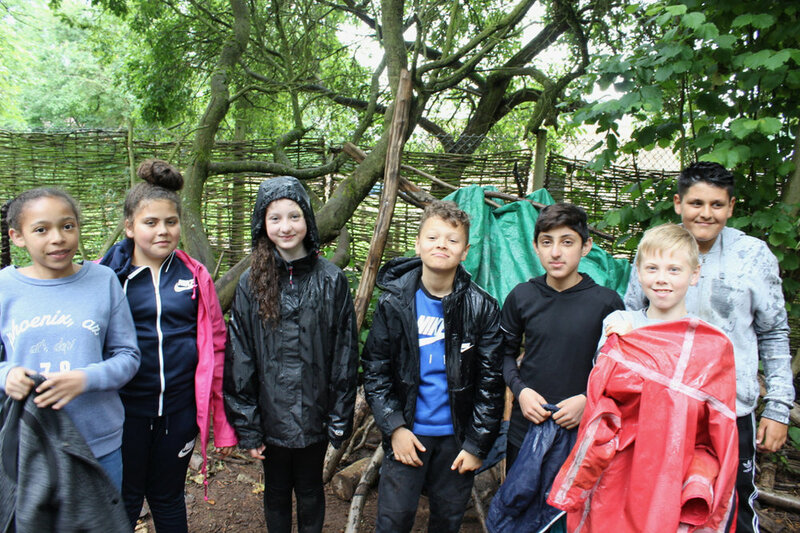 The weather was kind, despite forecasts that predicted otherwise. 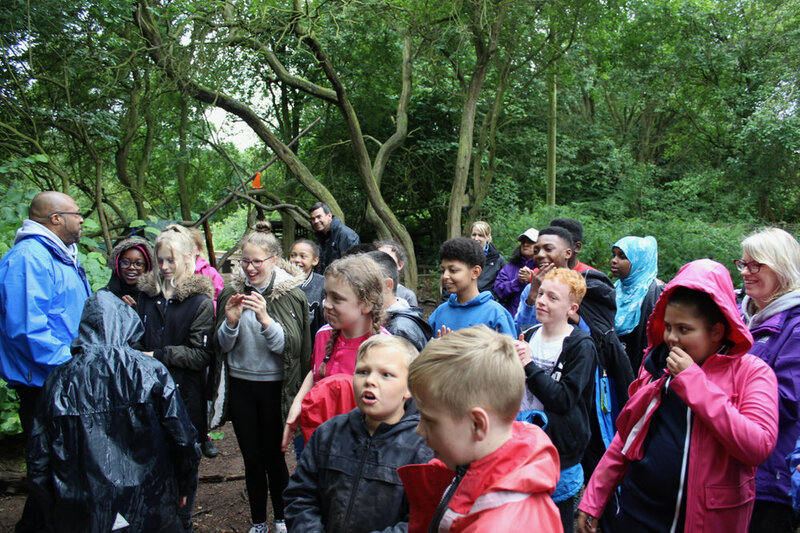 A wonderful afternoon was had by all! 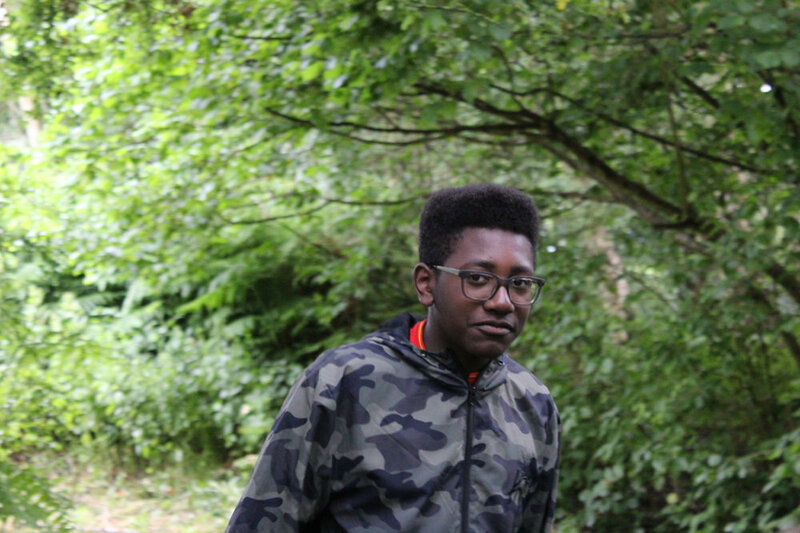 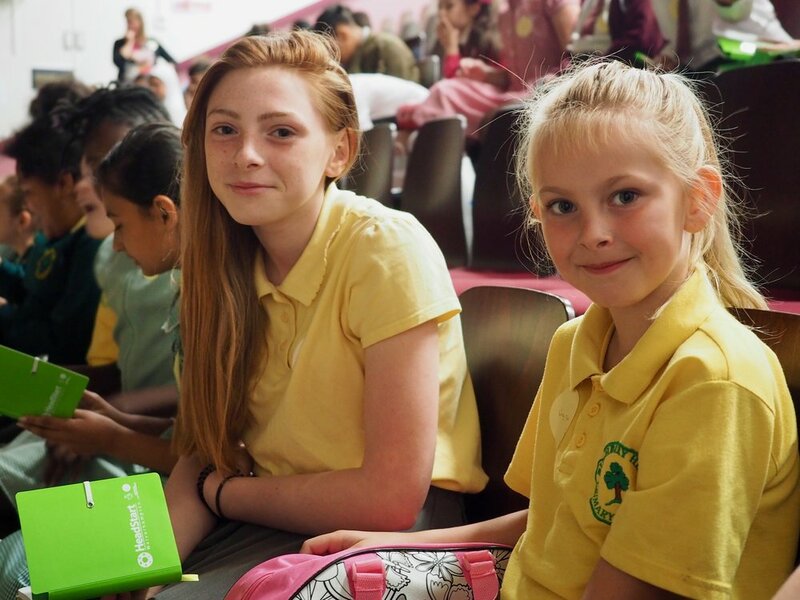 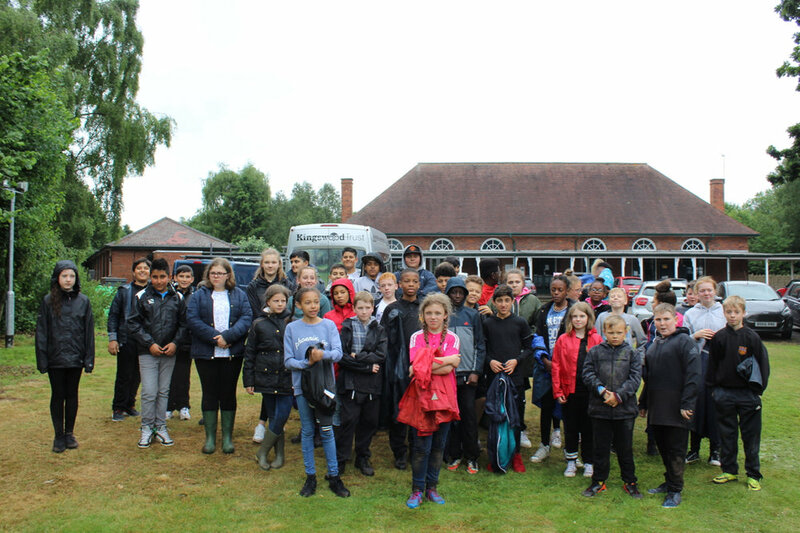 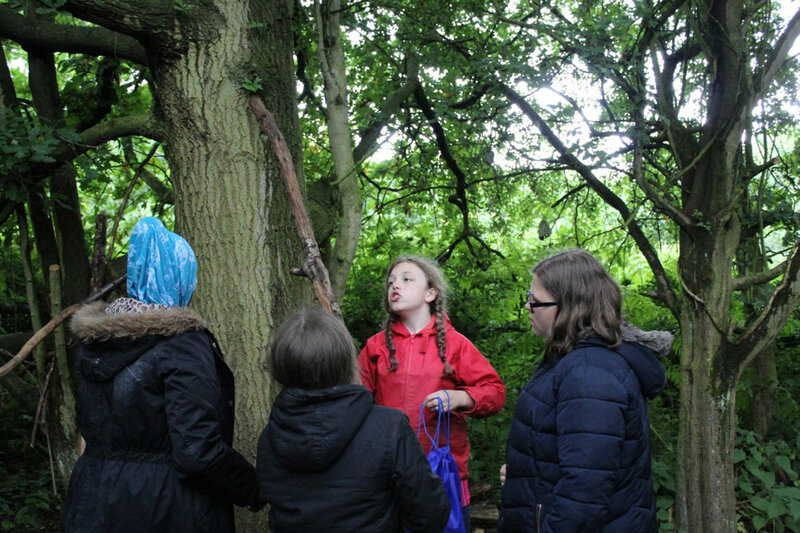 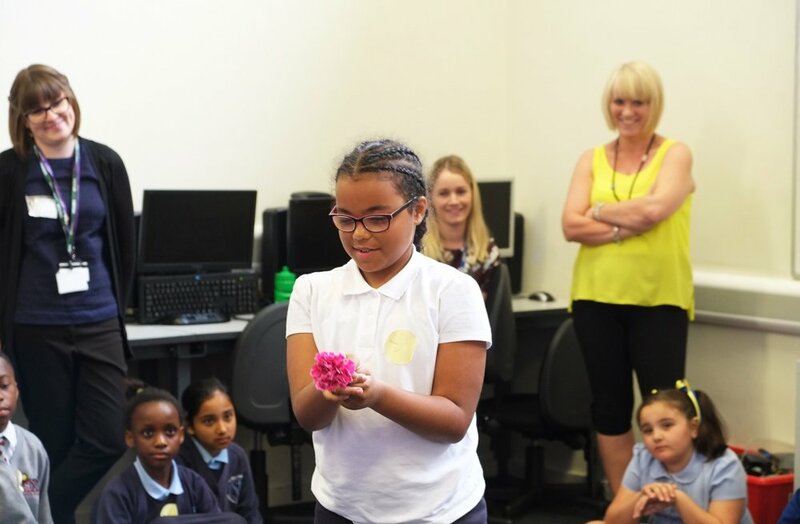 On Wednesday 28th June, Year 7 students from local Secondary schools: Colton Hills, Heath Park and Moreton Community joined Learning Technologies and HeadStart staff for a fun-filled day at Kingswood Trust. 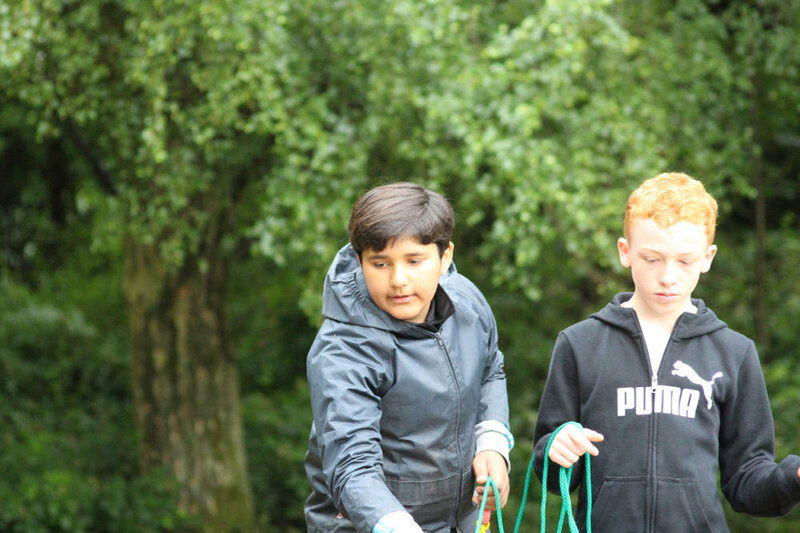 Each of the seven teams made their way over to the first activity of the day. 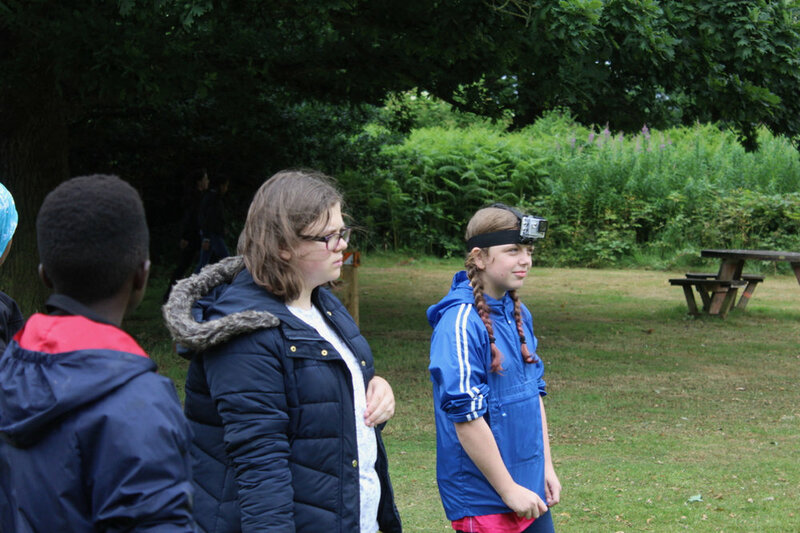 Once in position, Team Captains shared their challenge with their peers. 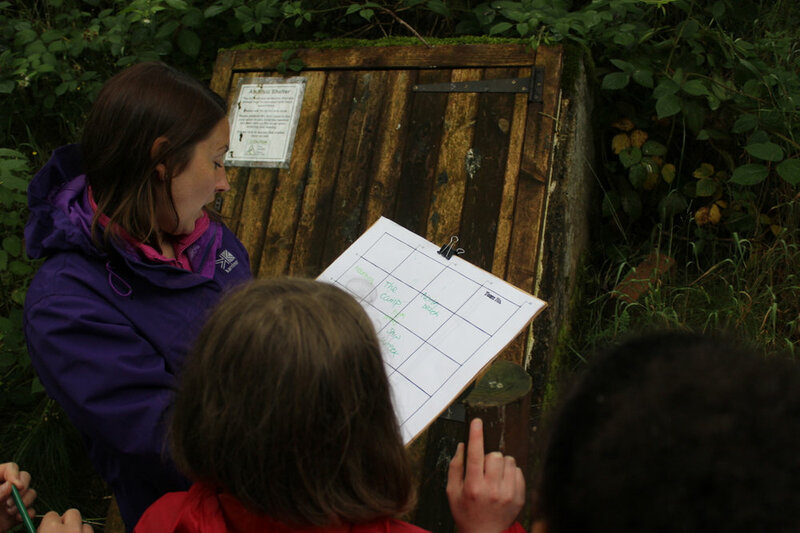 On the sound of the first whistle, teams negotiated how to solve the problem, discussing and exploring a range of different strategies along the way. 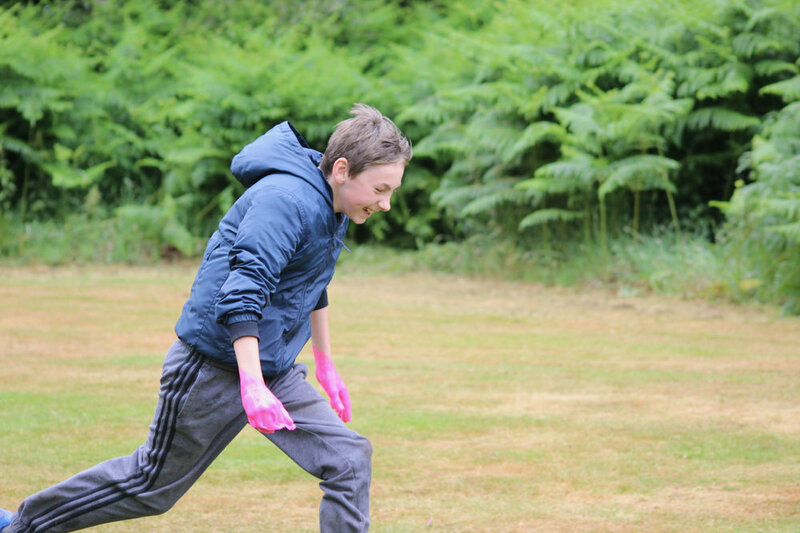 After ten minutes, the whistle sounded again to signal the end of the challenge. 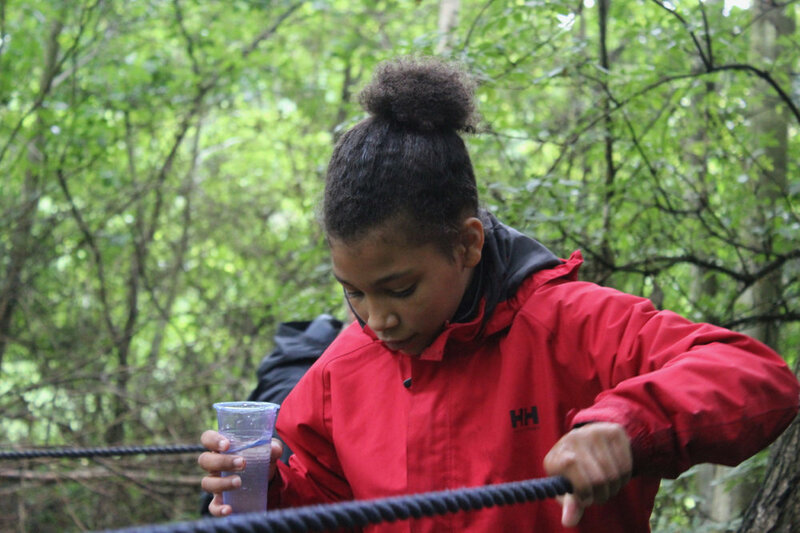 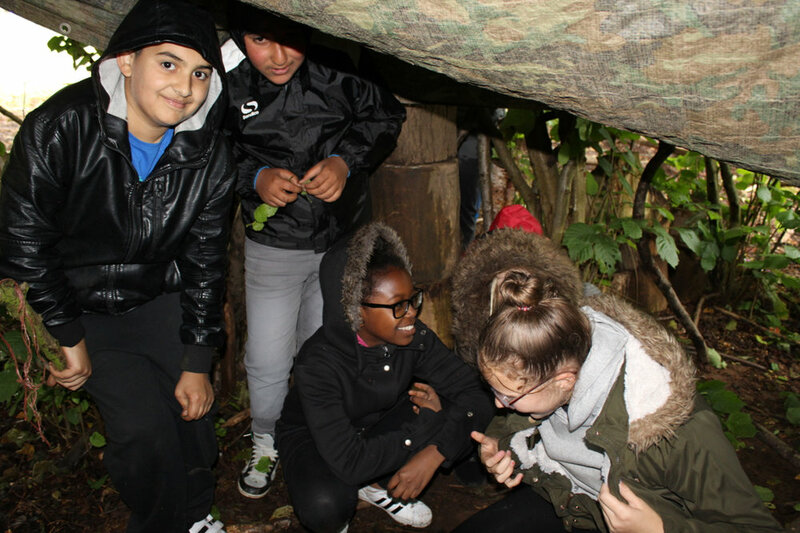 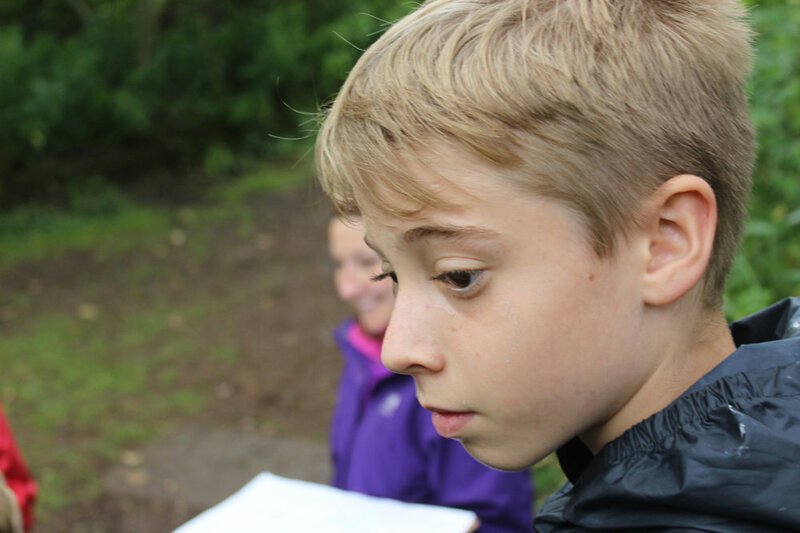 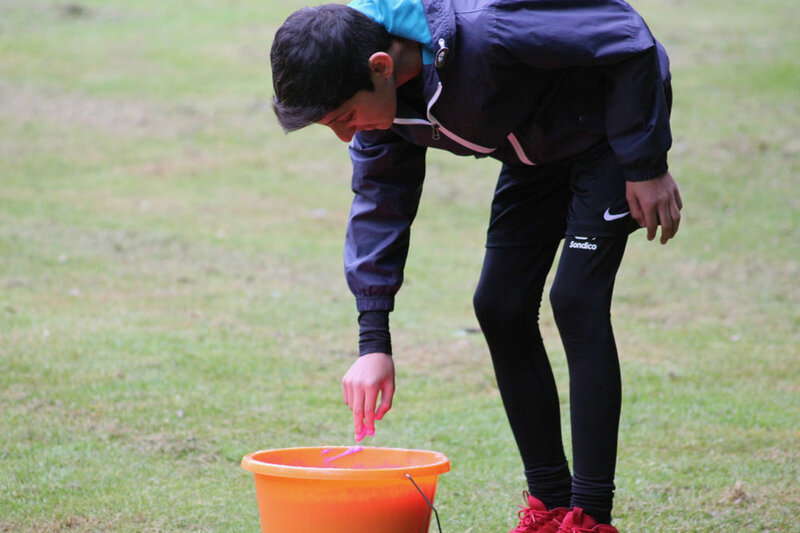 The teams persevered and worked collaboratively throughout each of the seven assigned tasks…some of which involved water, slime and cryptic themed puzzles! 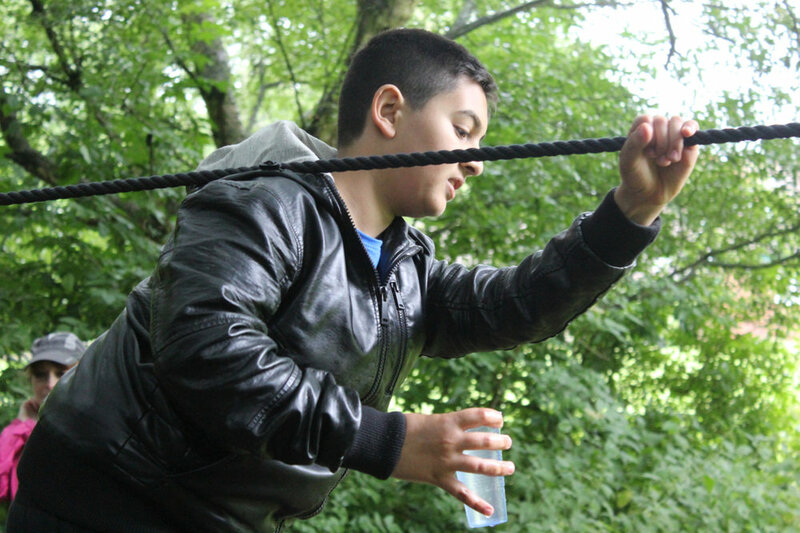 Points awarded throughout the morning were based on teamwork, resilience and task completion. 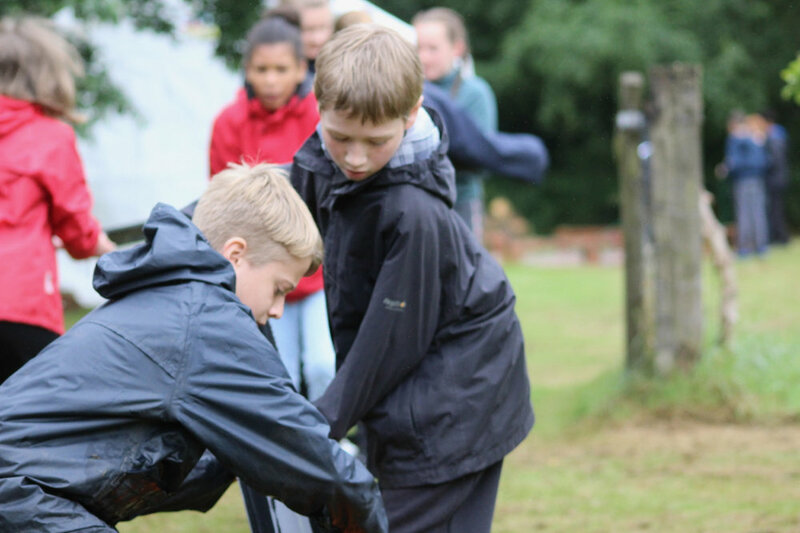 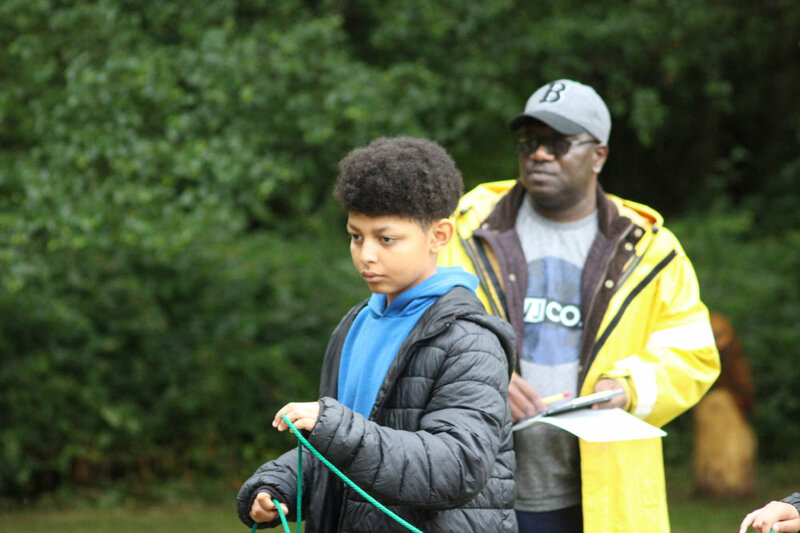 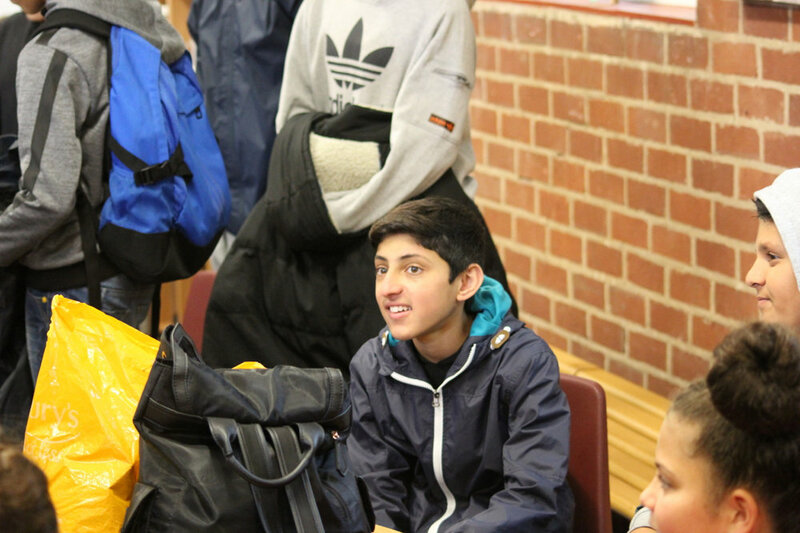 After lunch, the scores from the morning tasks were revealed and points were translated into ‘money’ which resulted in equipment for the next task. 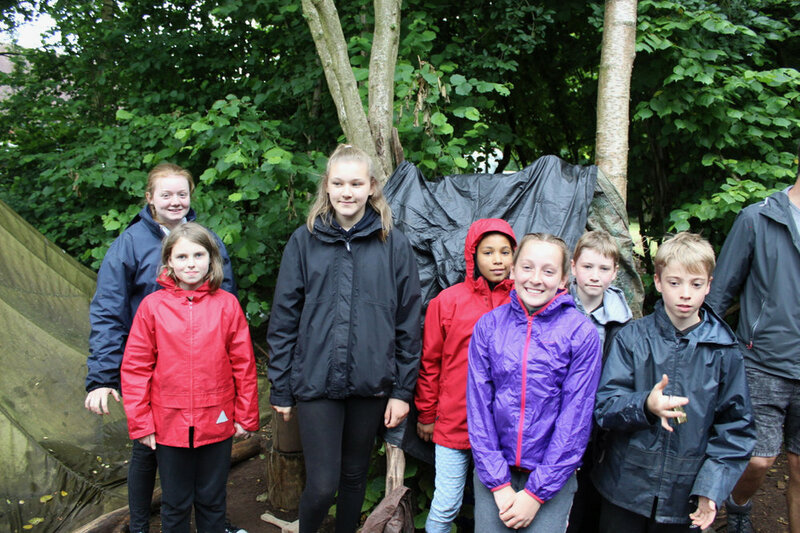 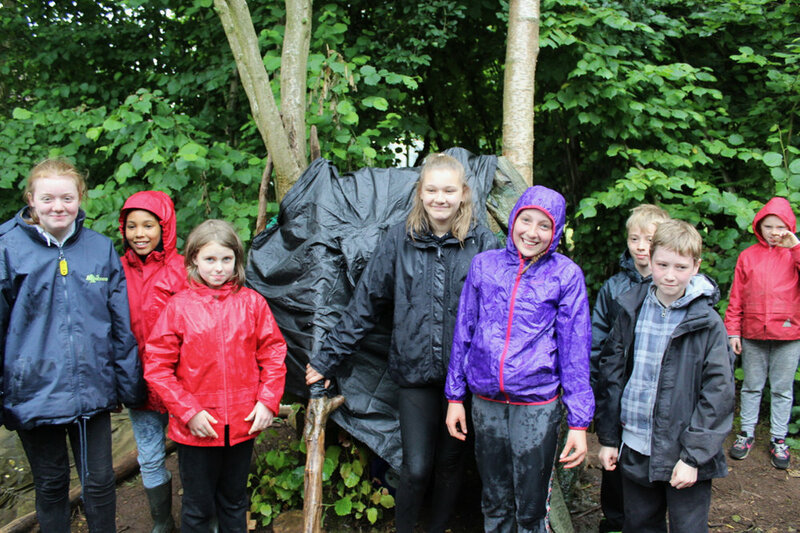 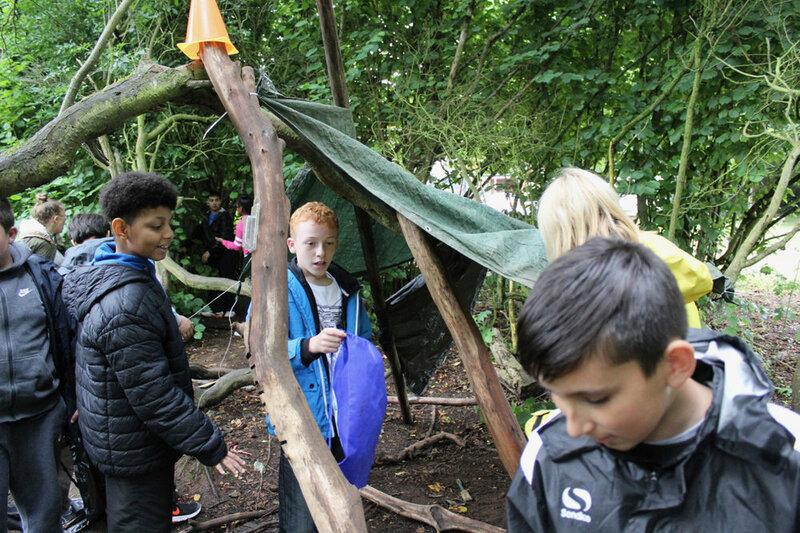 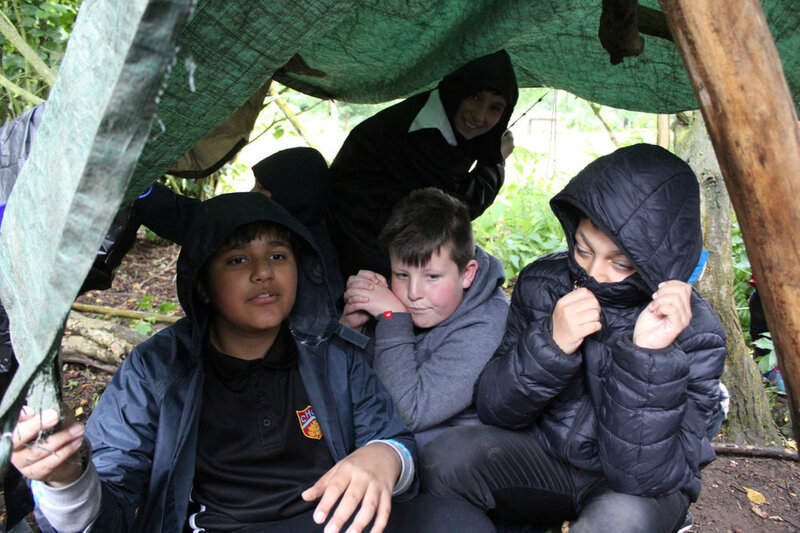 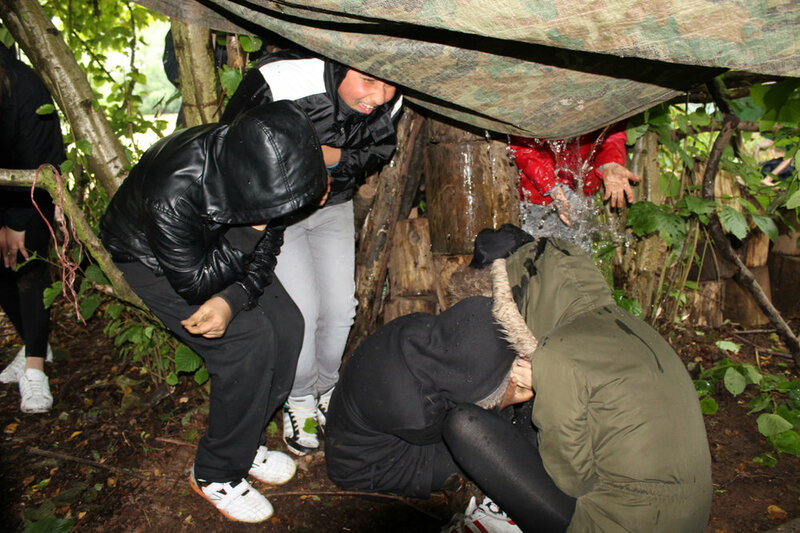 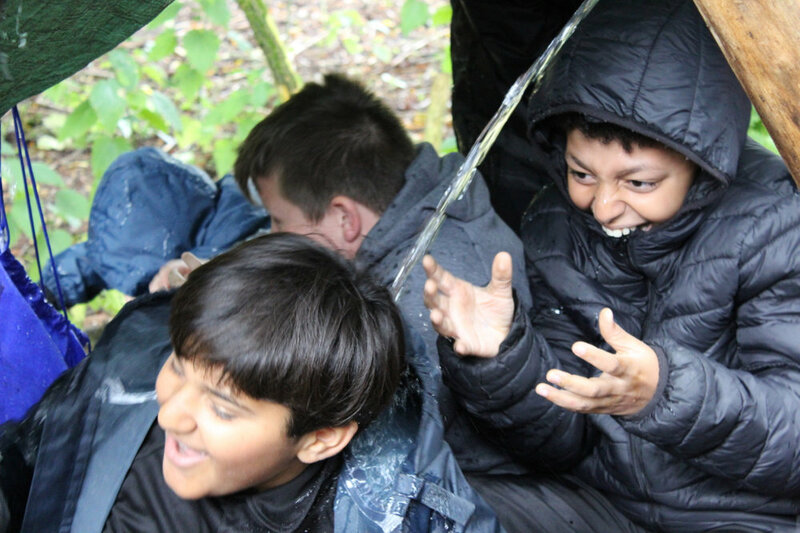 Each team had the challenge of building a shelter to withstand The Gathering Storm! 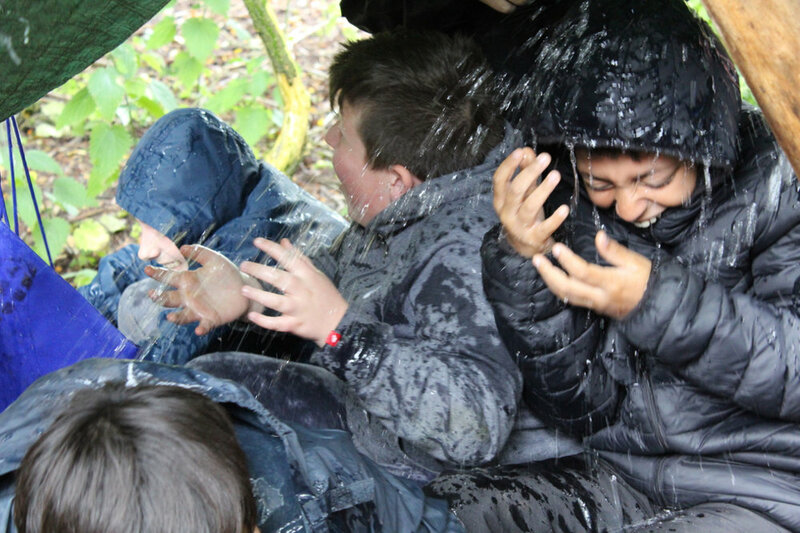 Teams soon gathered and took cover in their shelters while leaders poured buckets of water over each build. 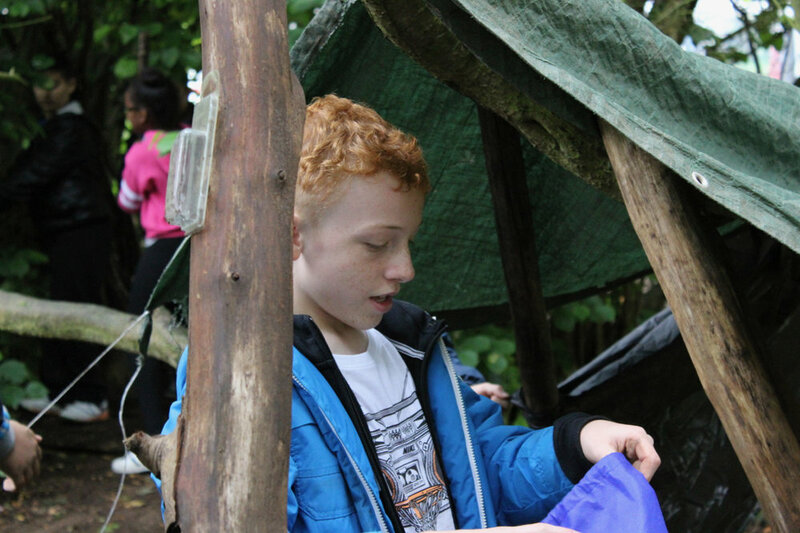 Students evaluated their construction and quickly identified strengths and areas for development…many wishing they could have covered all of the gaps in the tarpaulin! 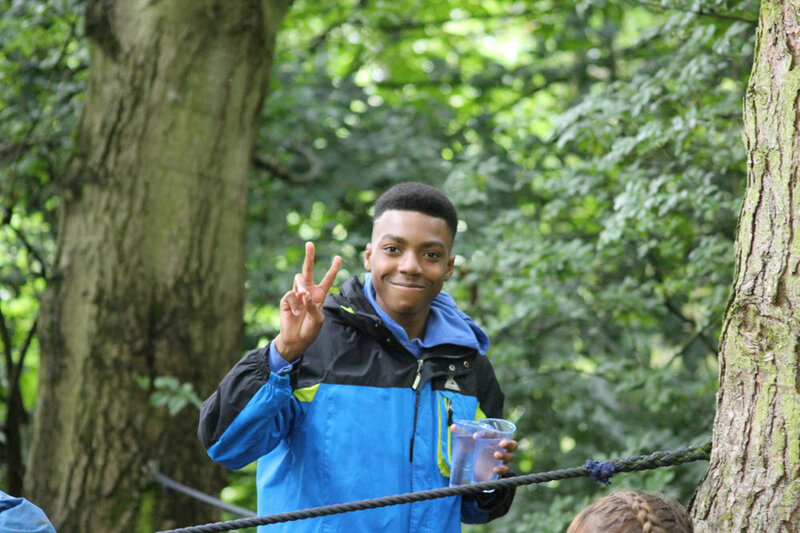 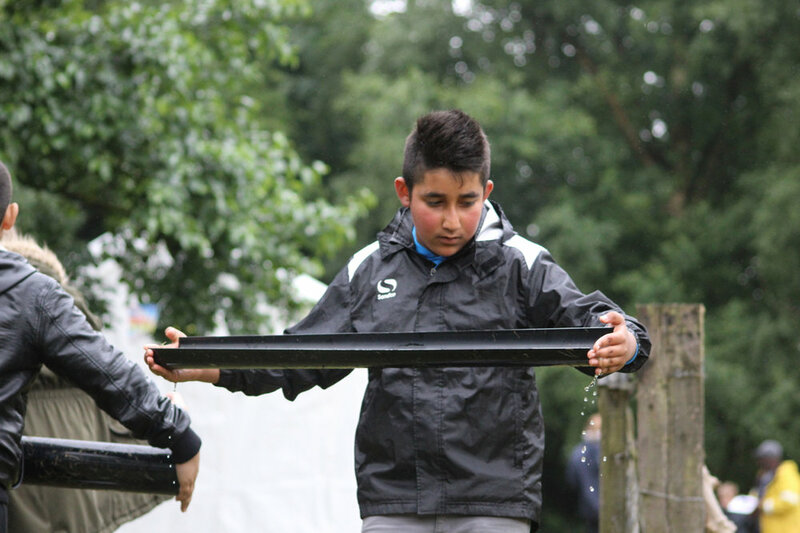 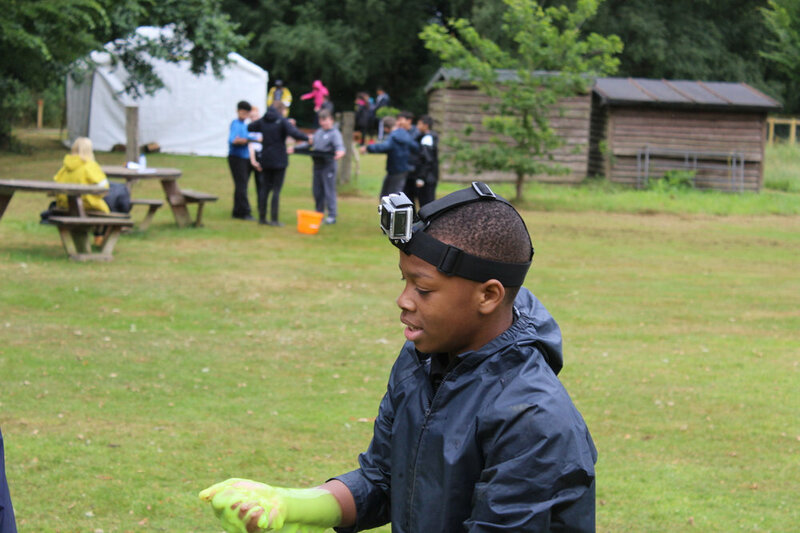 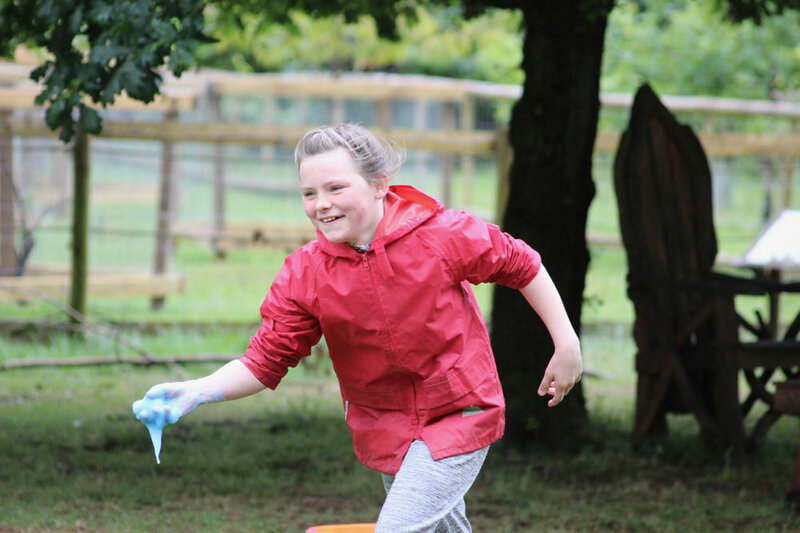 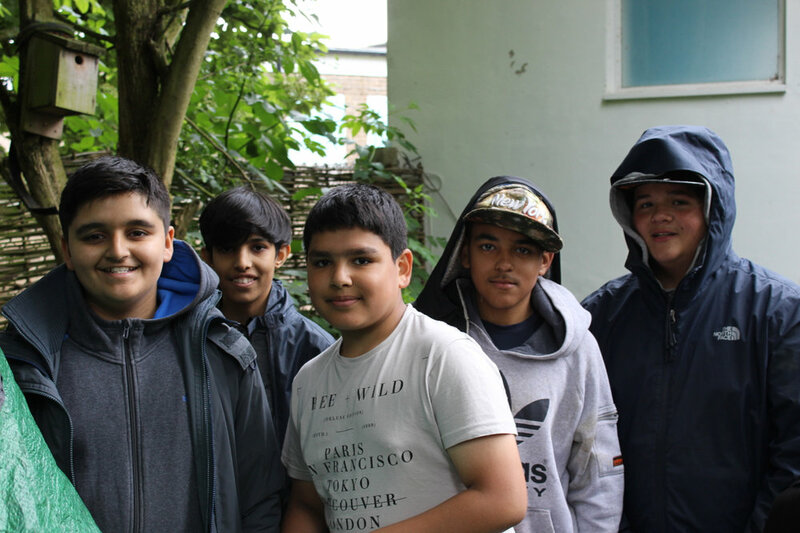 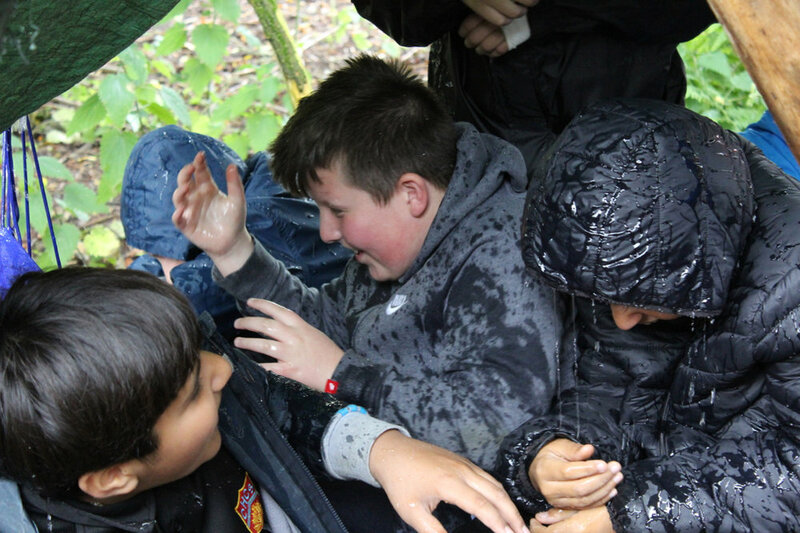 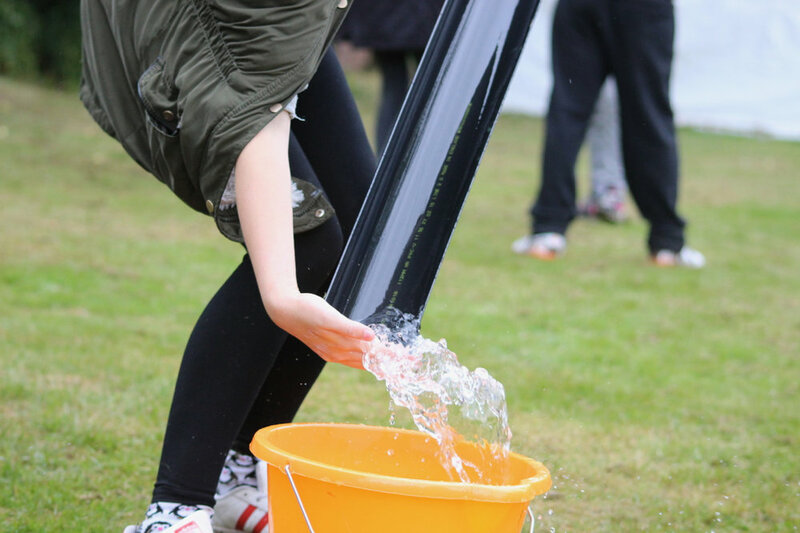 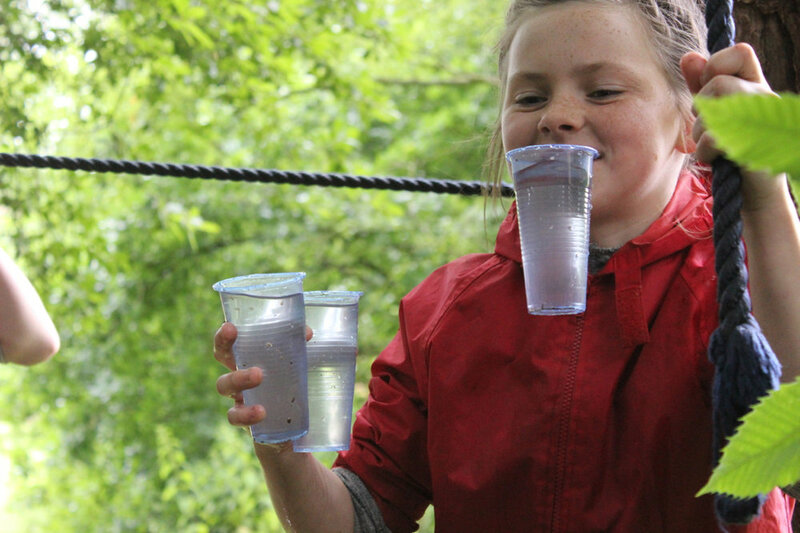 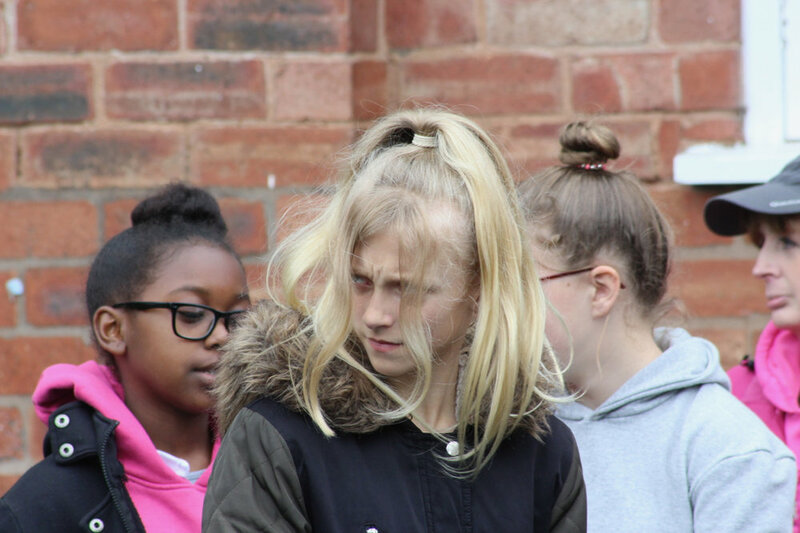 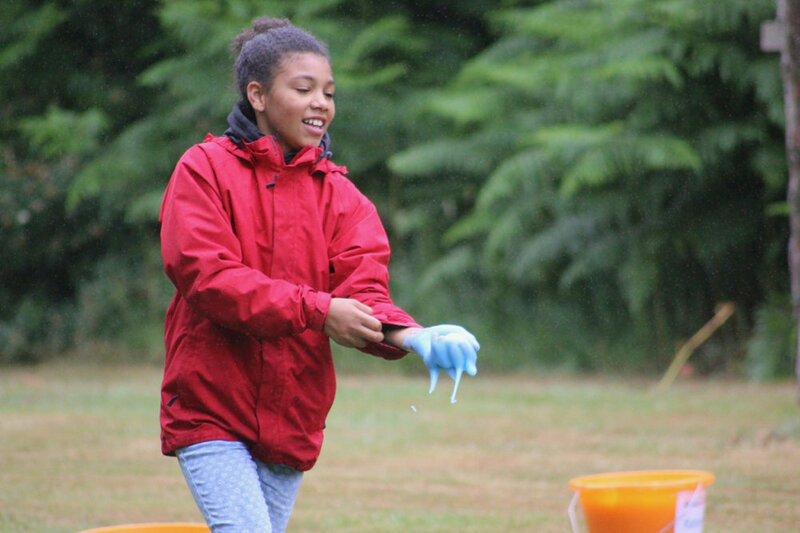 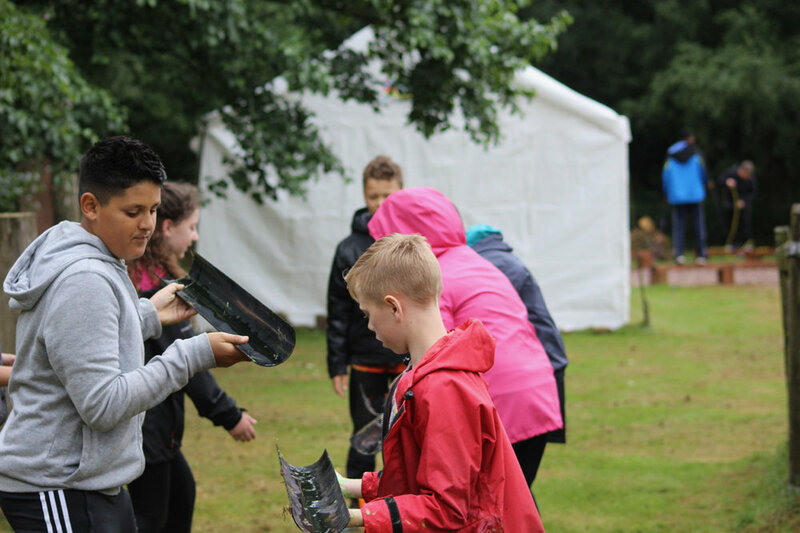 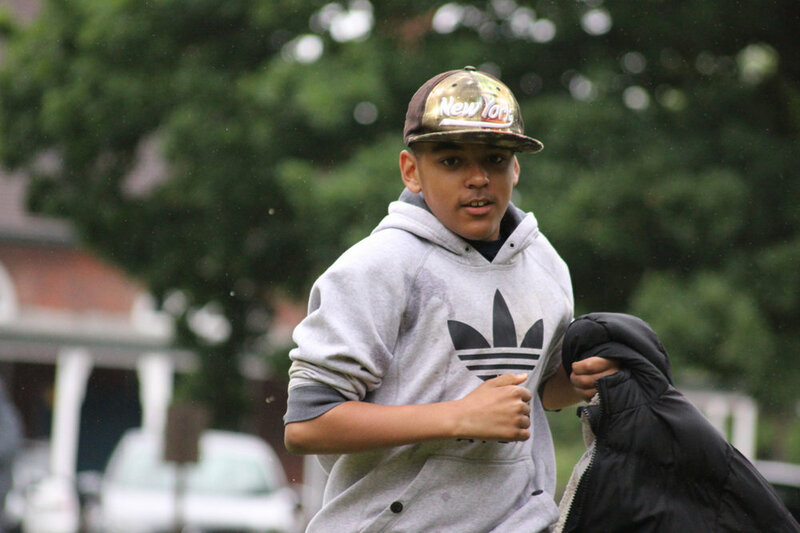 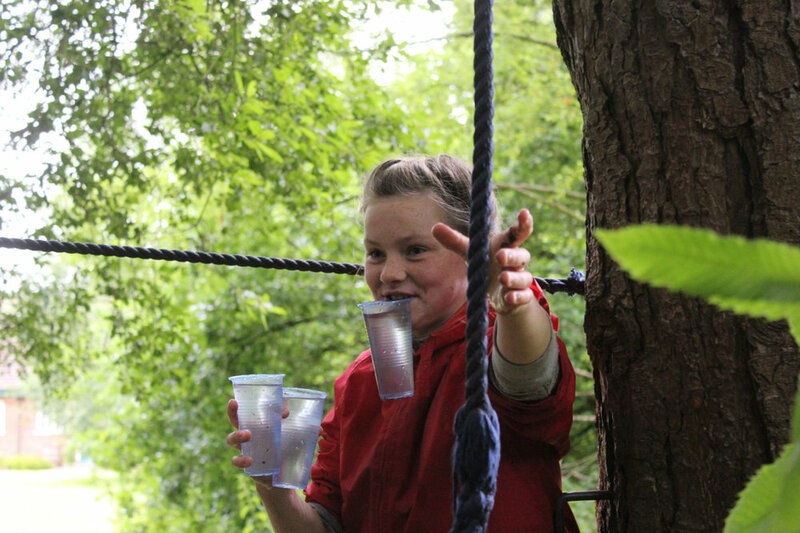 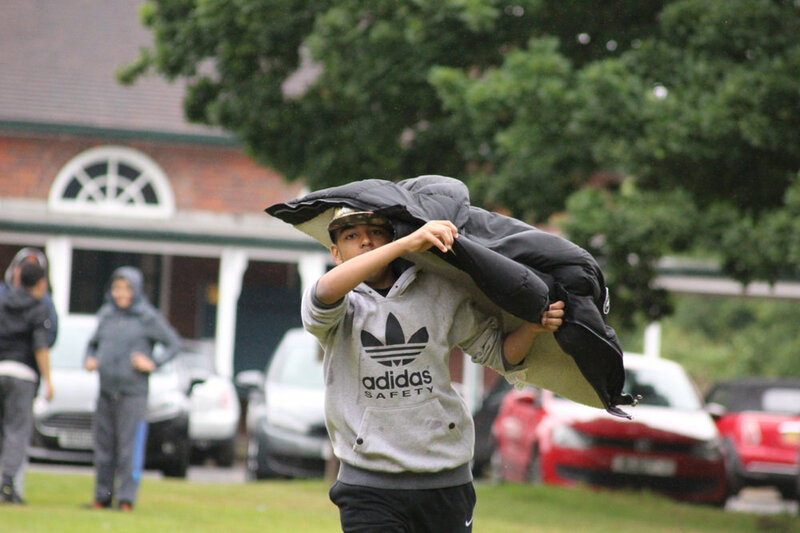 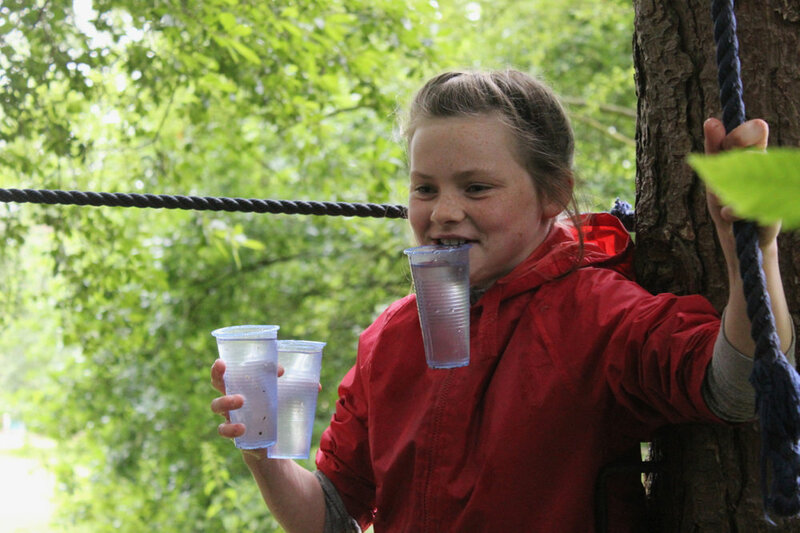 Despite the persistent drizzle throughout the day, it did not dampen the spirits of our young people and the buckets of water and slime only added to the fun and excitement of the day making it a memorable day for all involved. 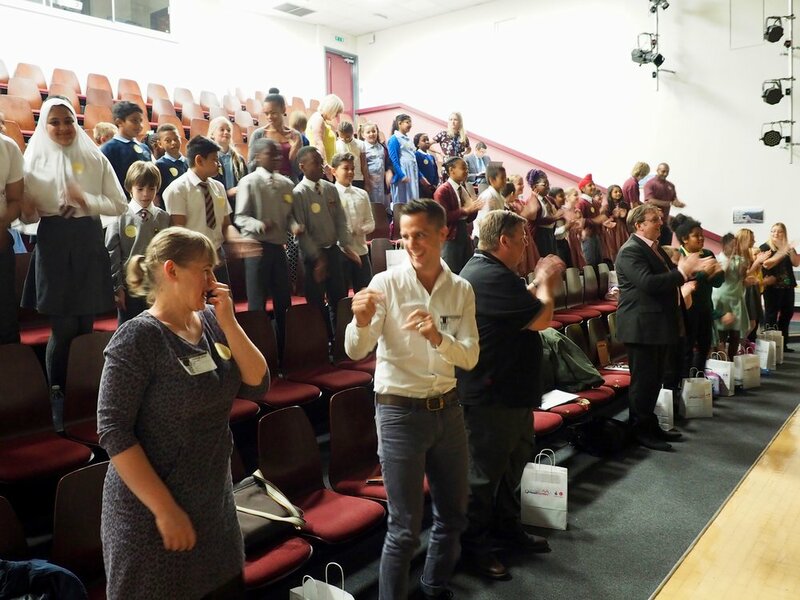 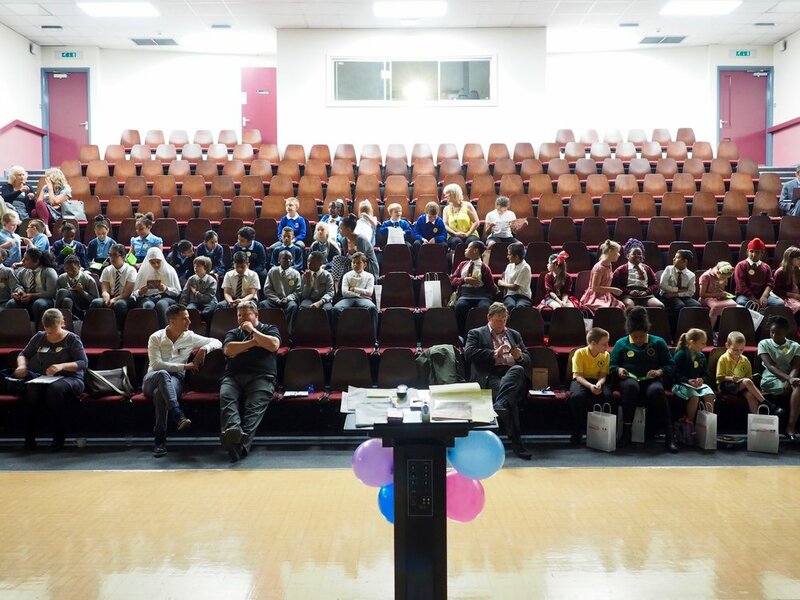 Monday 10th July was The Digis 2017, the amazing annual celebration of digital work from schools and young people organisations across Wolverhampton. 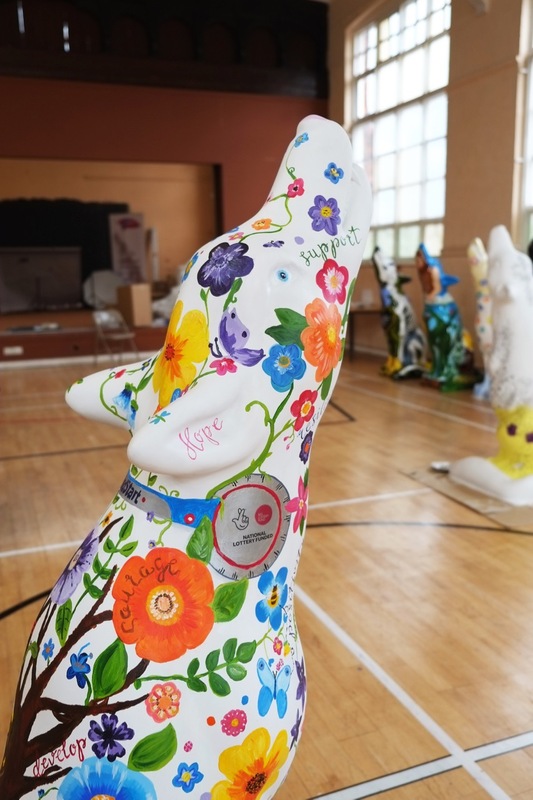 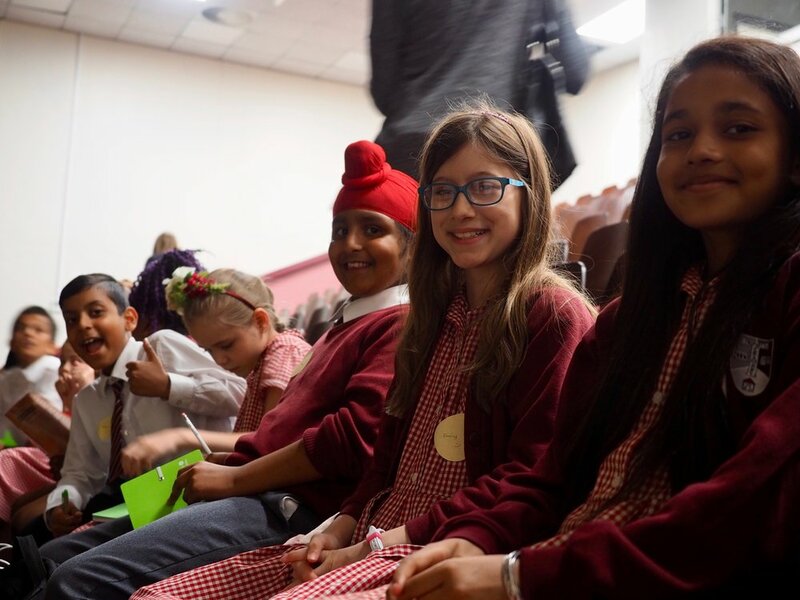 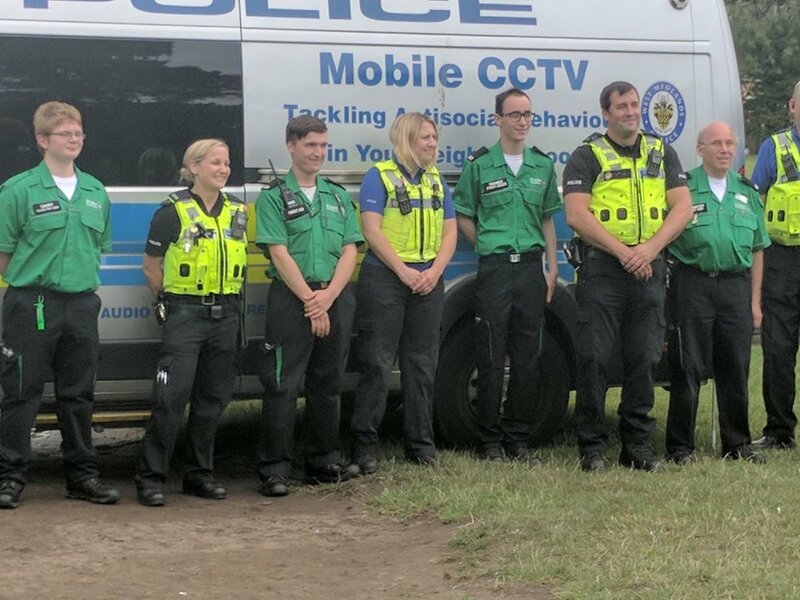 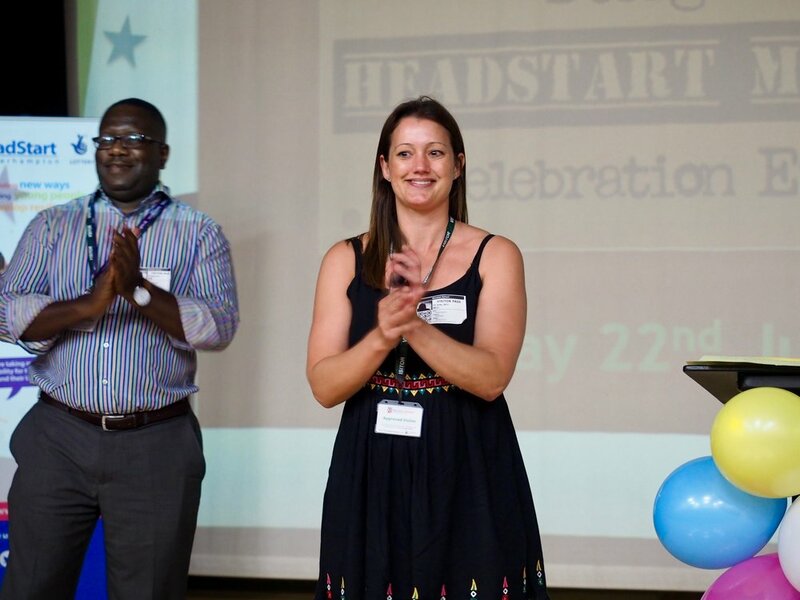 The event is organised by HeadStart partner Wolverhampton Learning Technologies Team, and includes an afternoon ceremony for 4 - 7 year olds, and an evening ceremony for 8 - 18 year olds. 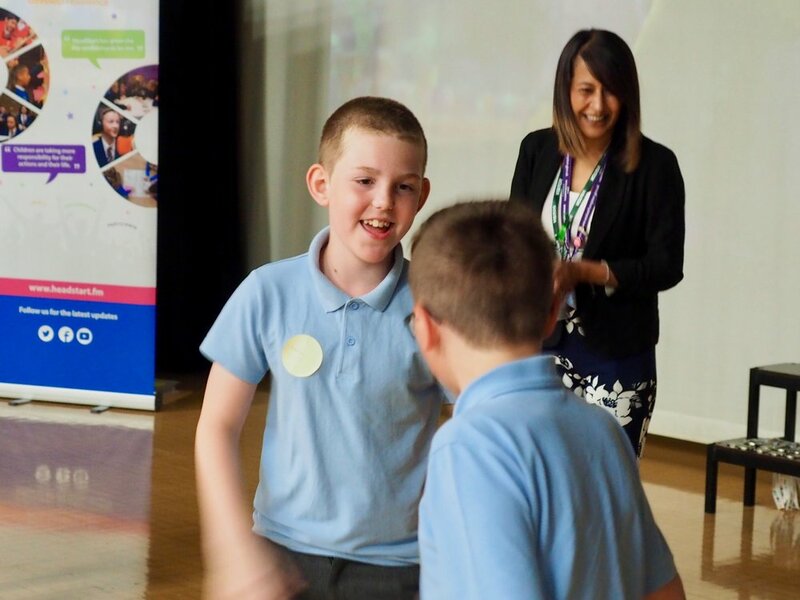 Hundreds of parents and carers attended the ceremonies to share in the success of their children. 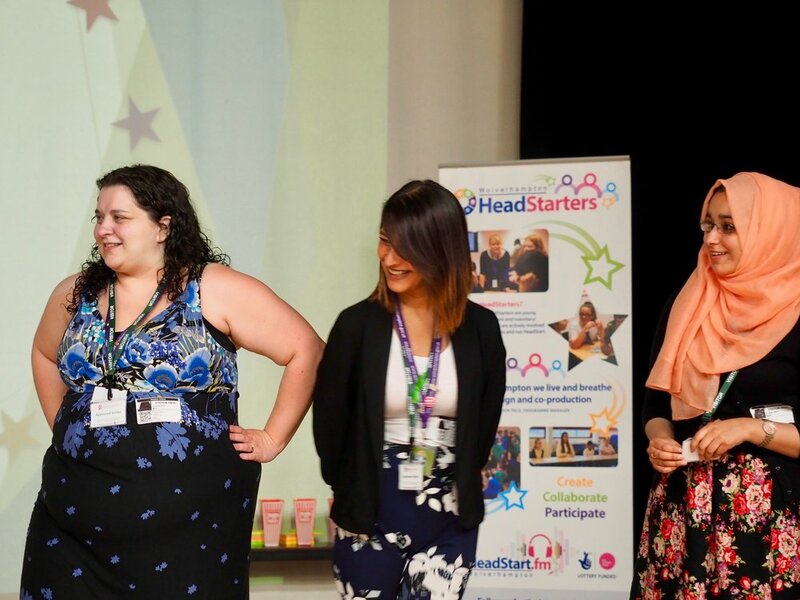 As part of the evening celebrations, The Digis 2017 included a special HeadStart Award, celebrating digital work created by young people working alongside HeadStart as part of our HeadStart Ambassadors programme, B-Safe Team, or from schools working alongside our staff. 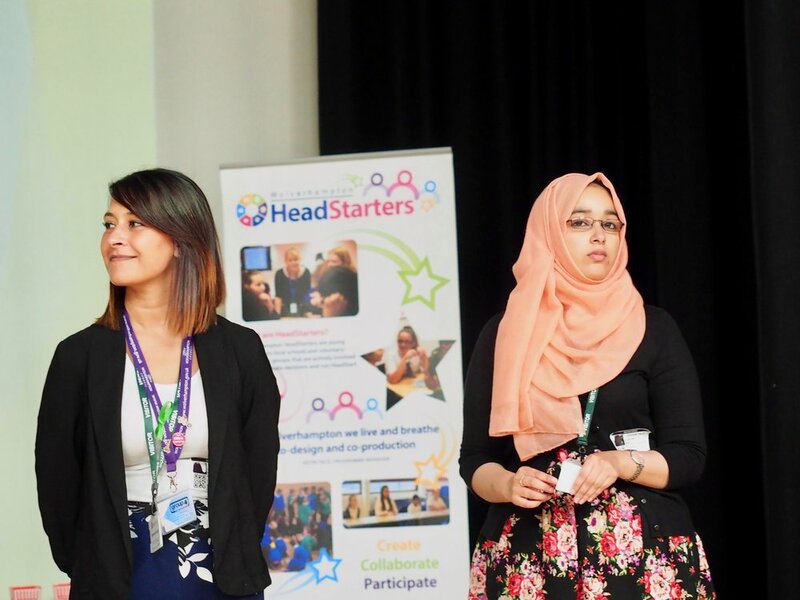 The award was presented by Sunita Pallan-Jhalli, HeadStart Senior Young Person Engagement Coordinator. 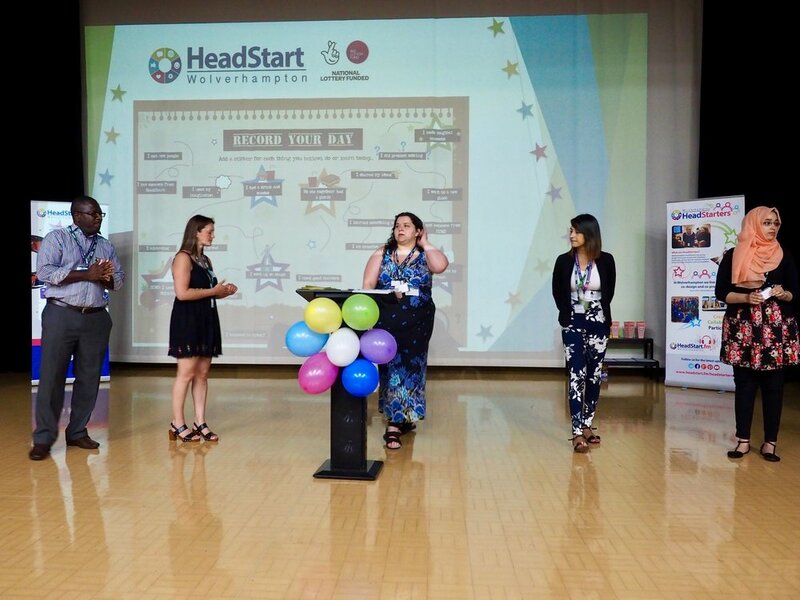 The HeadStart Award was shared by Hannah Rooney, one of our HeadStart Ambassadors, and by Katie Blakemore from The B-Safe Team. 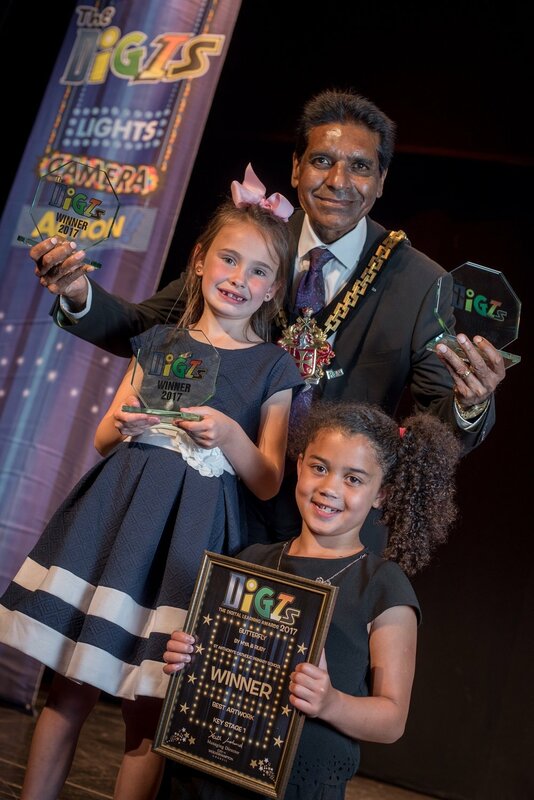 Congratulations to them both. 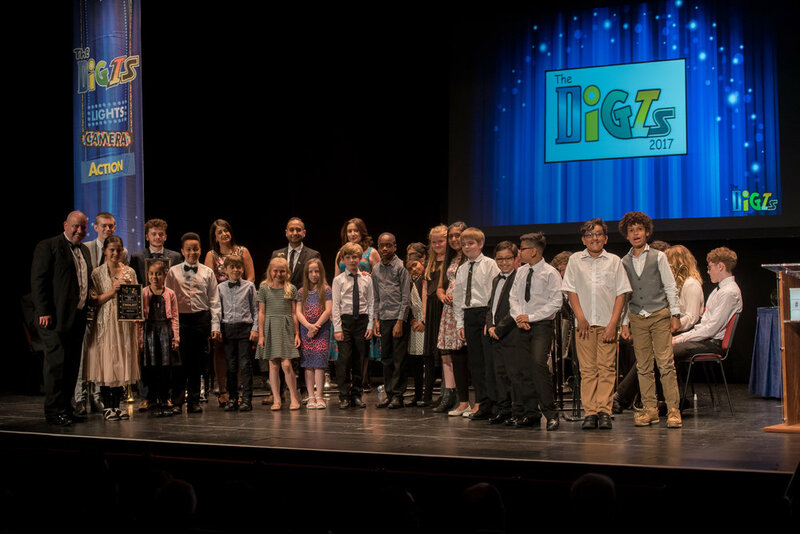 Photos from the awards are online on the Learning Technologies website soon. 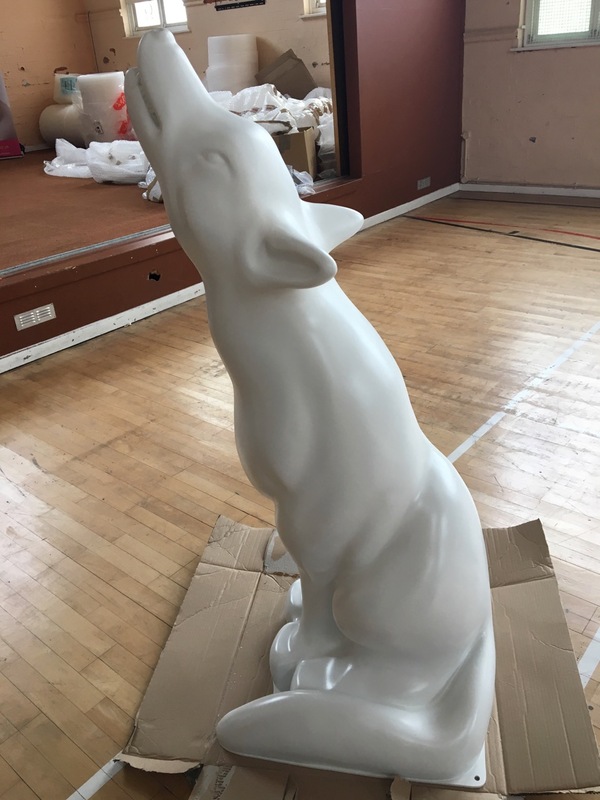 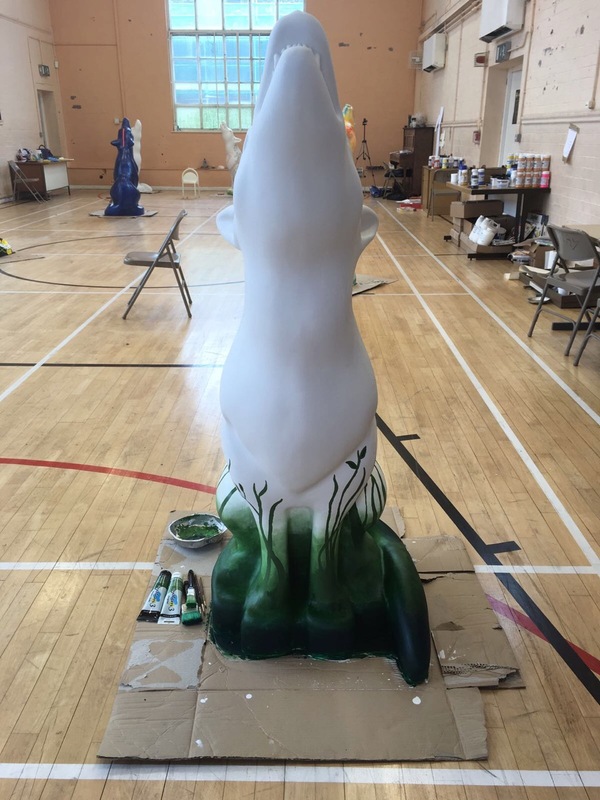 We'll post some more pictures once they become available! 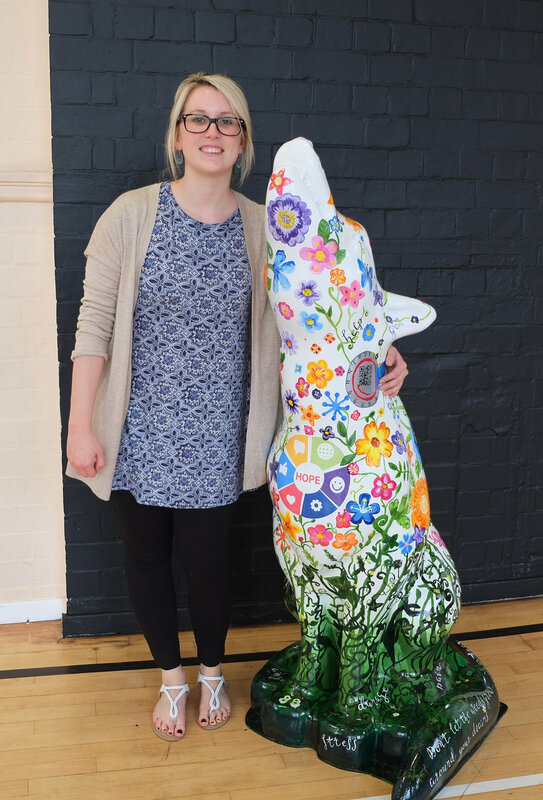 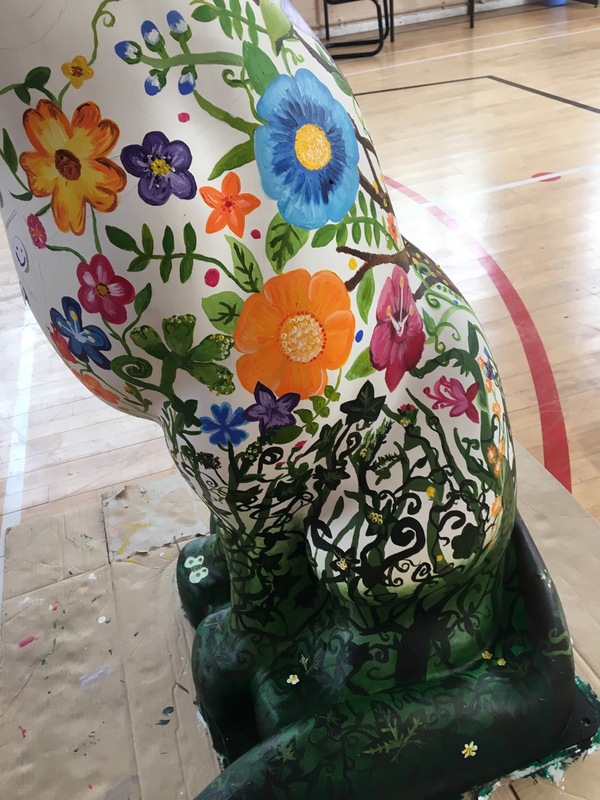 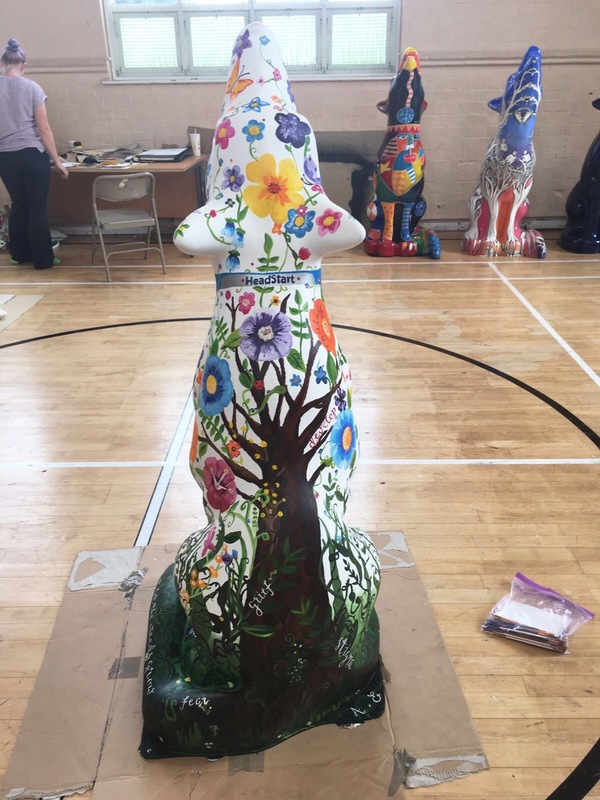 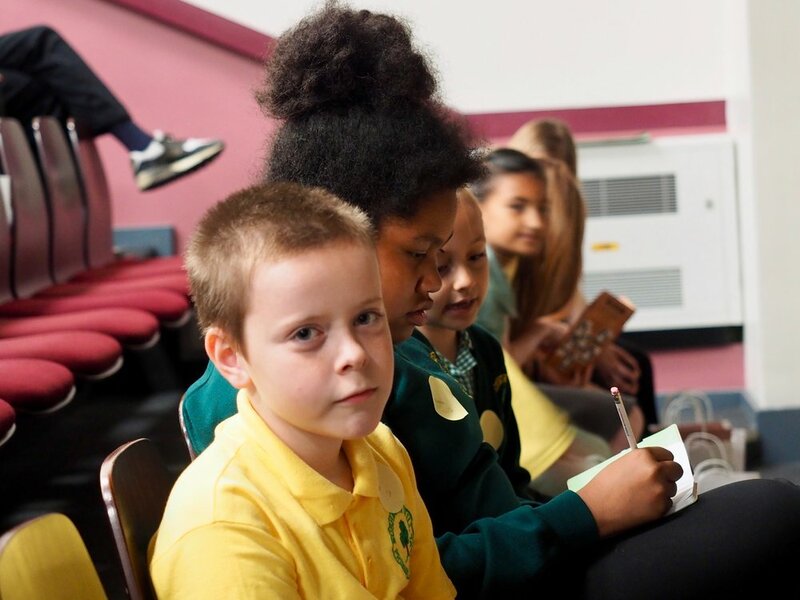 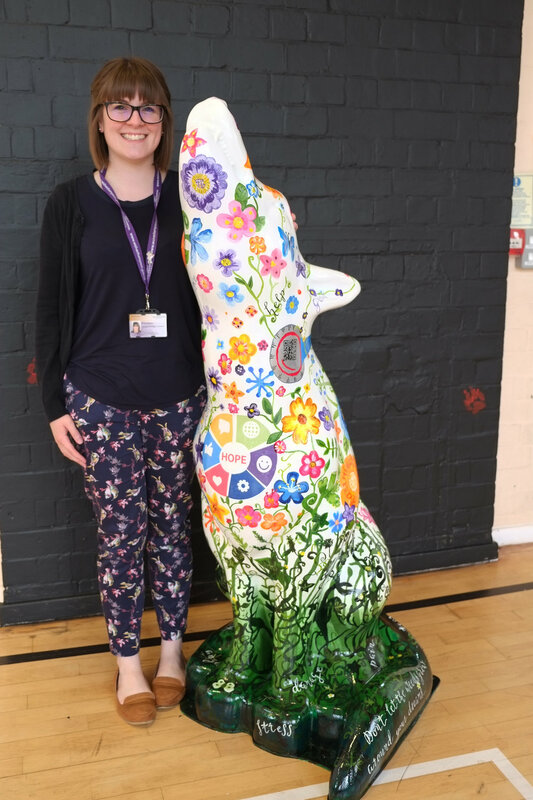 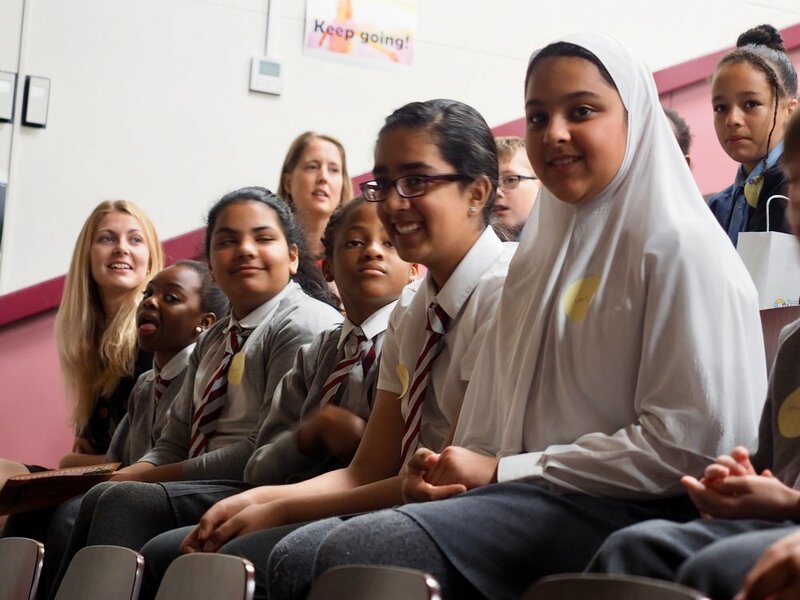 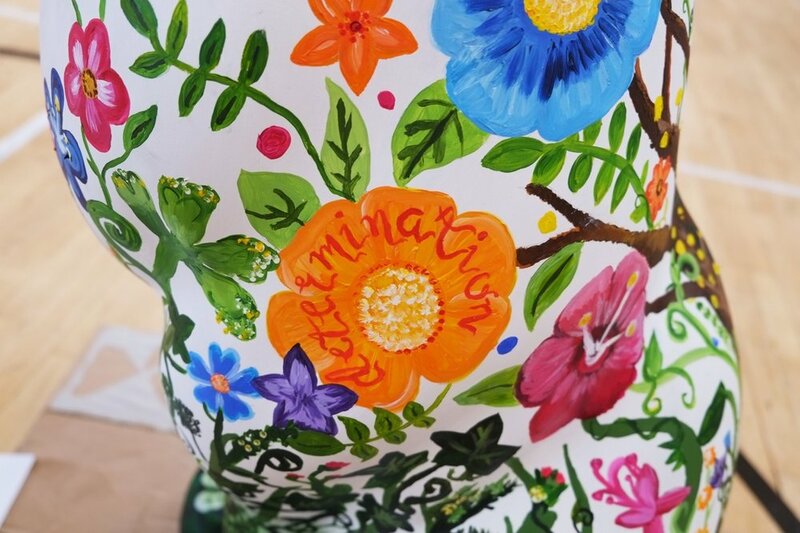 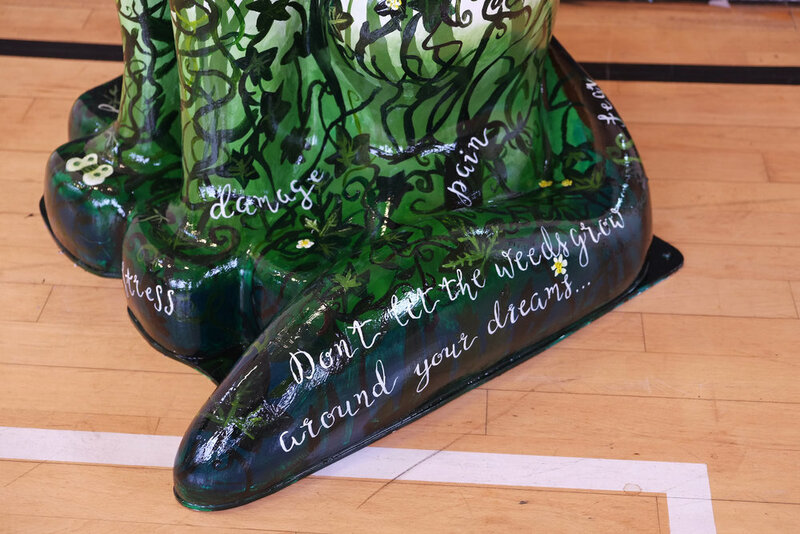 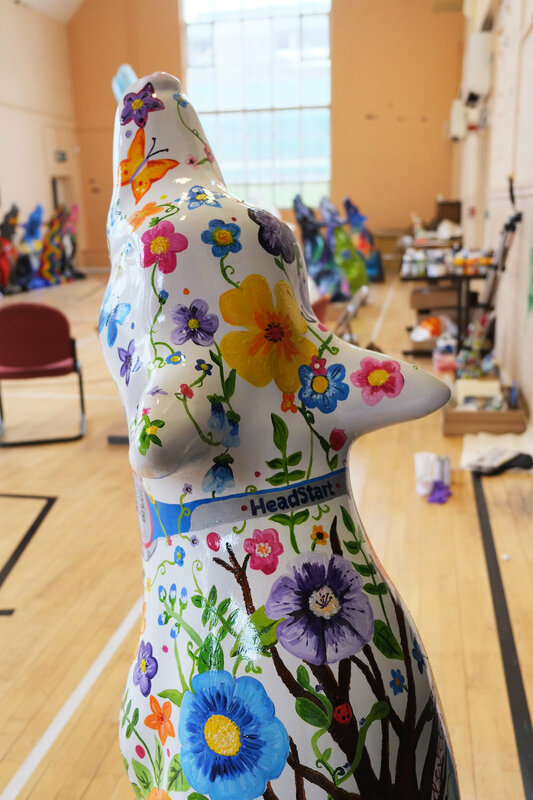 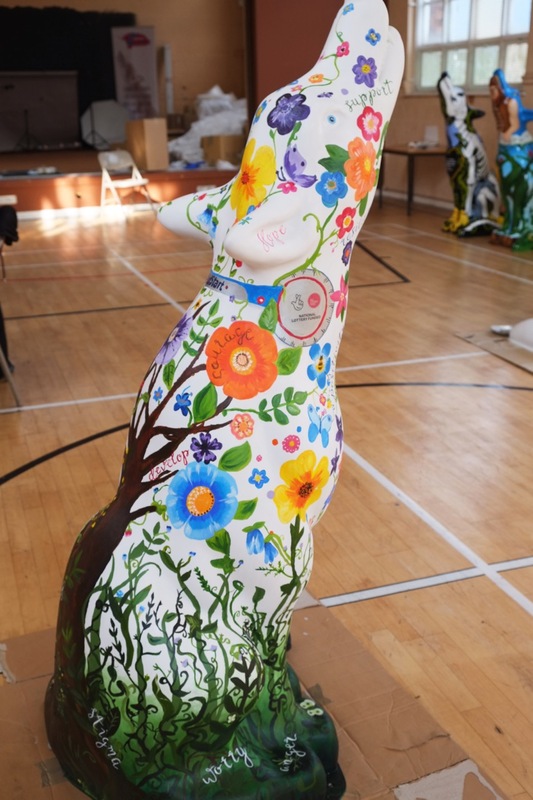 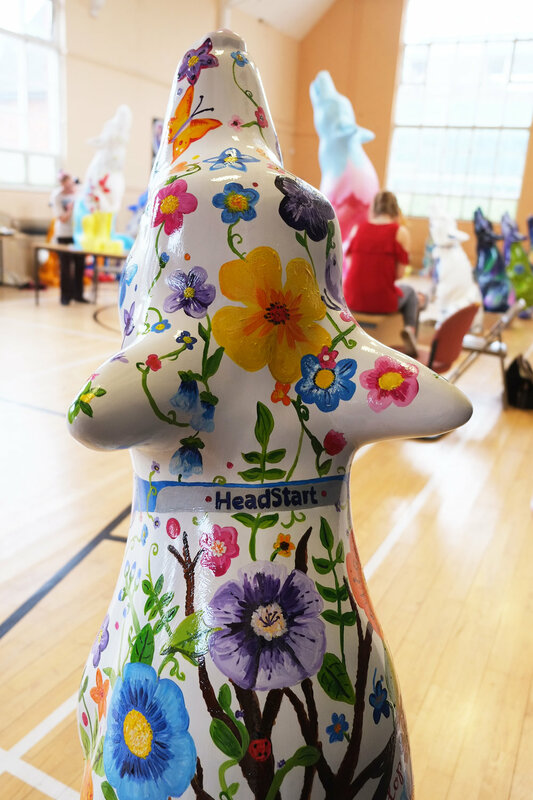 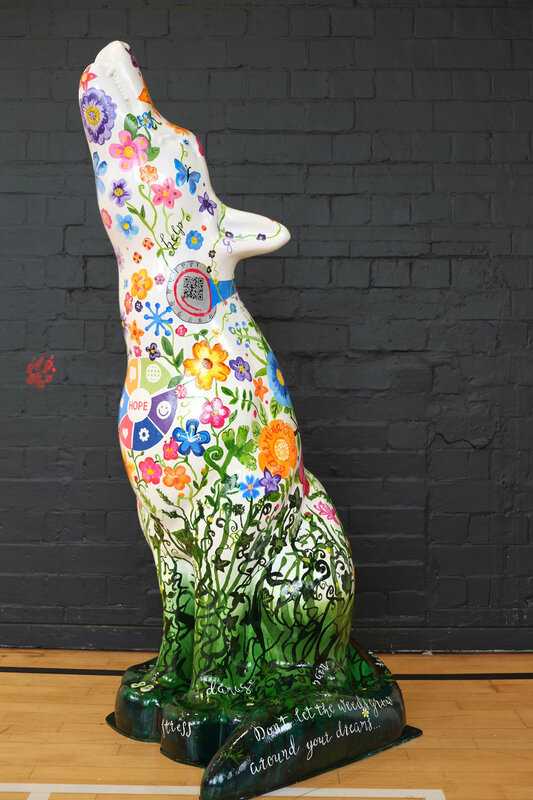 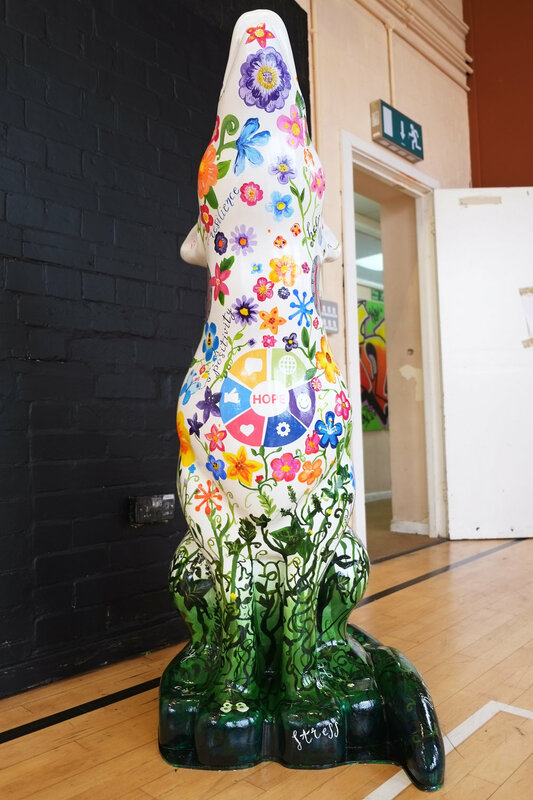 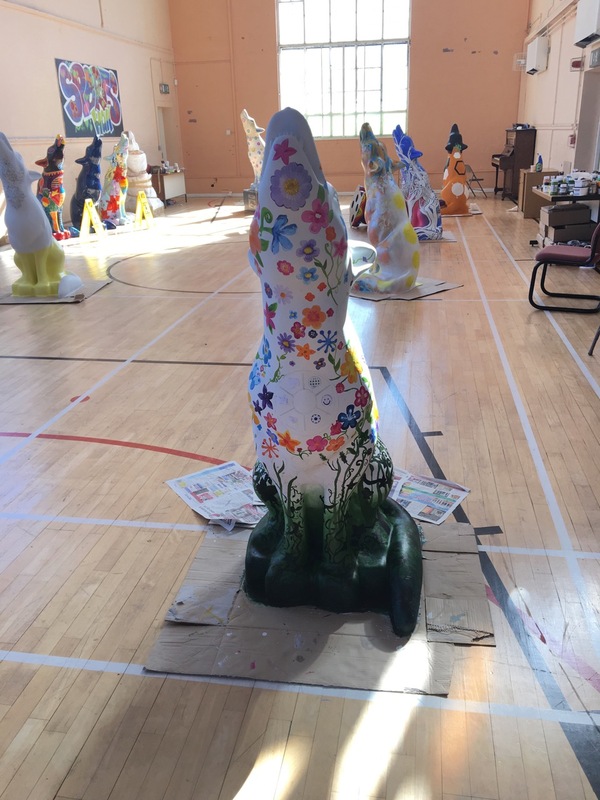 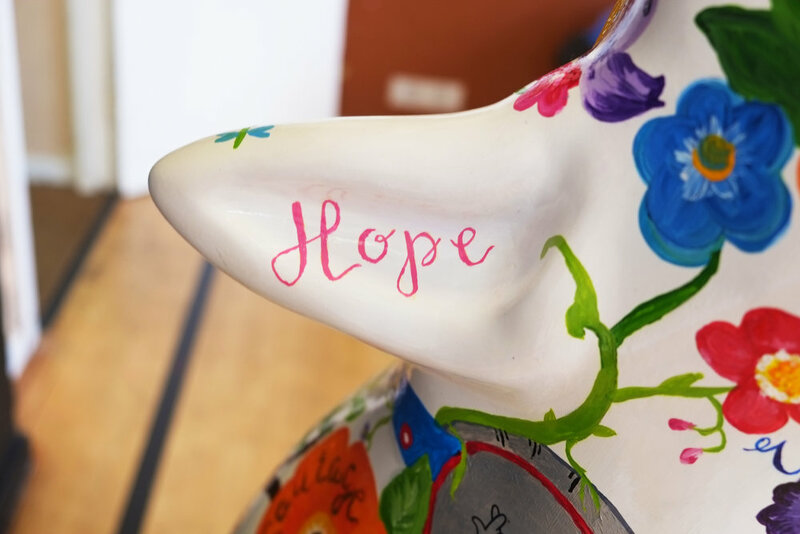 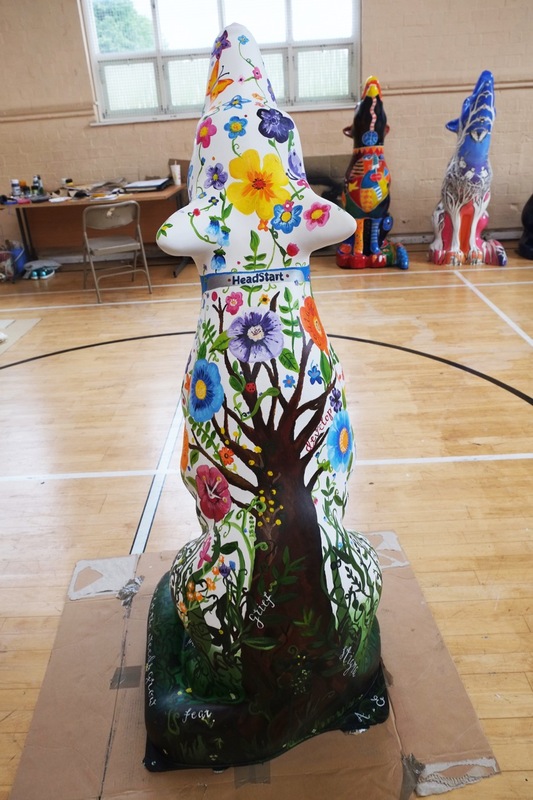 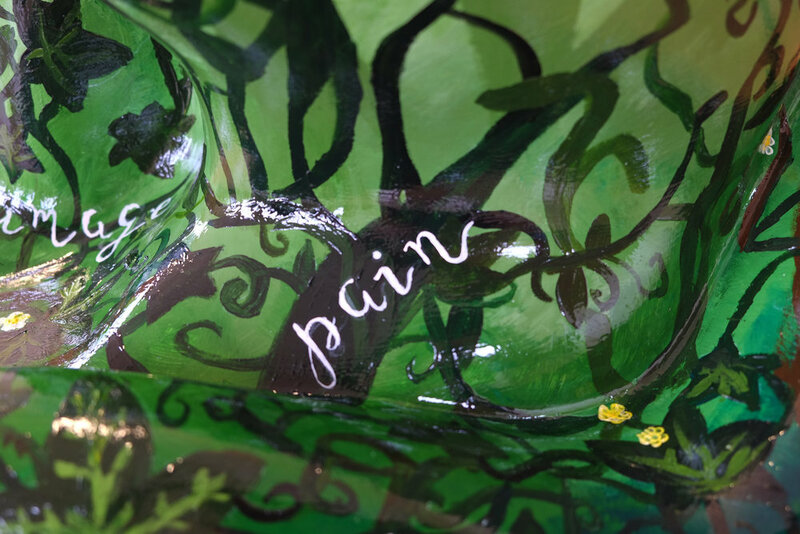 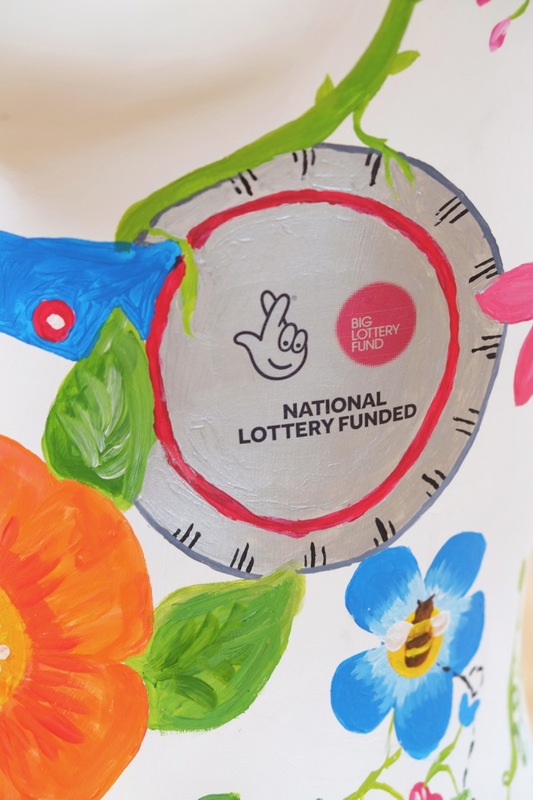 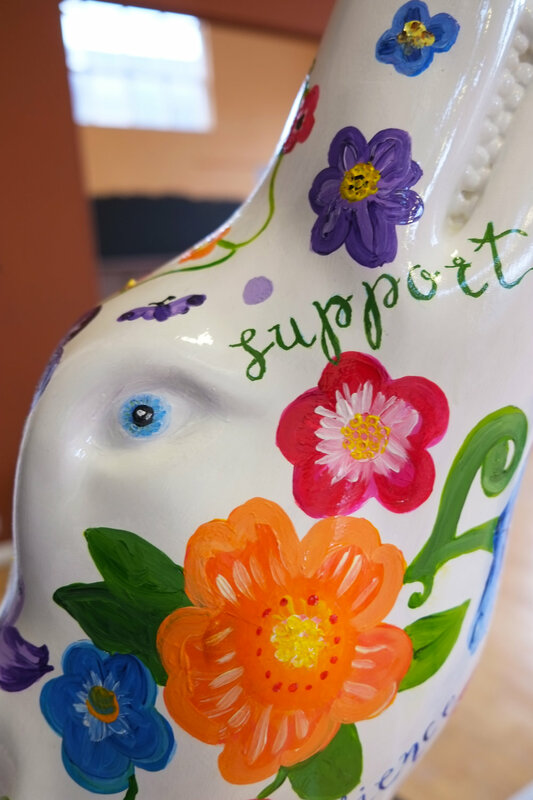 To mark Mental Health Awareness Month, the HeadStart Schools Team have been running a competition for pupils in HeadStart primary schools to design a new mascot to be used to brand HeadStart activities for primary-age children. 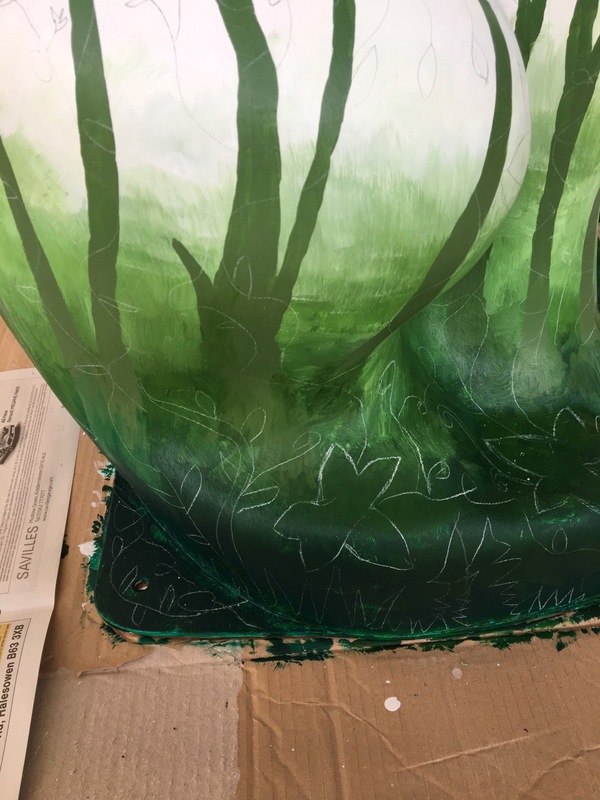 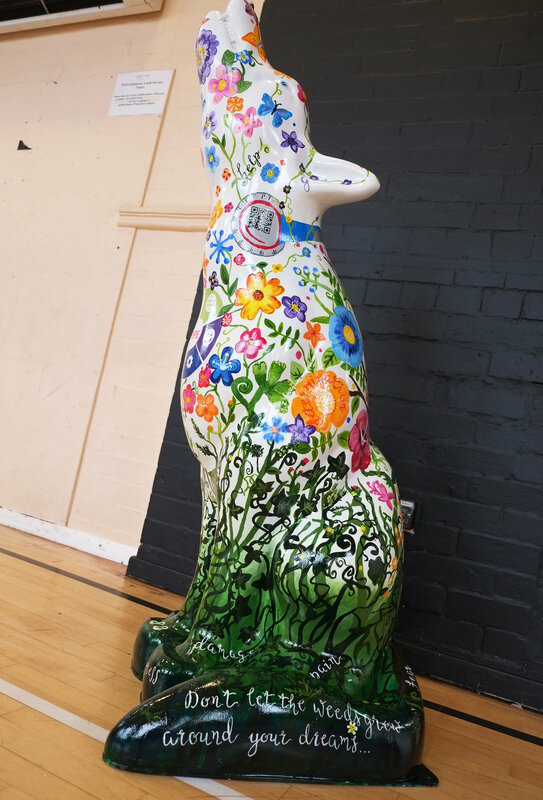 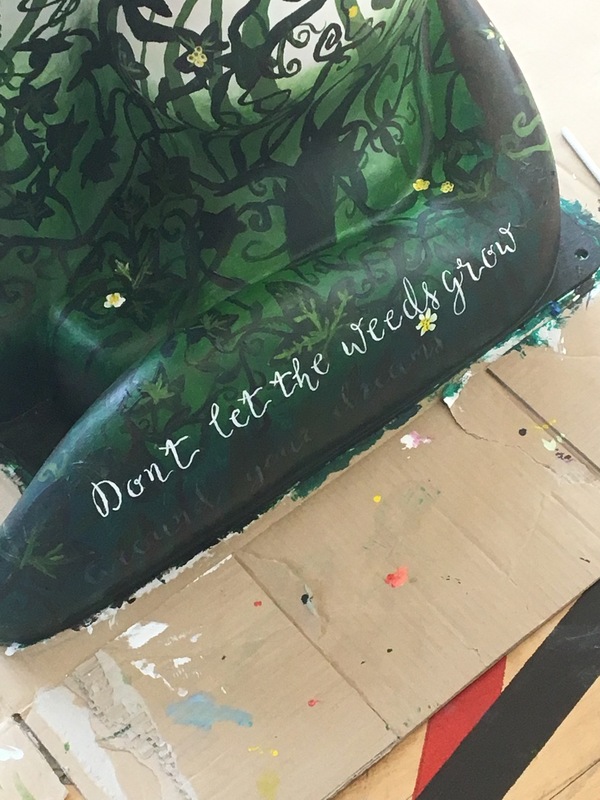 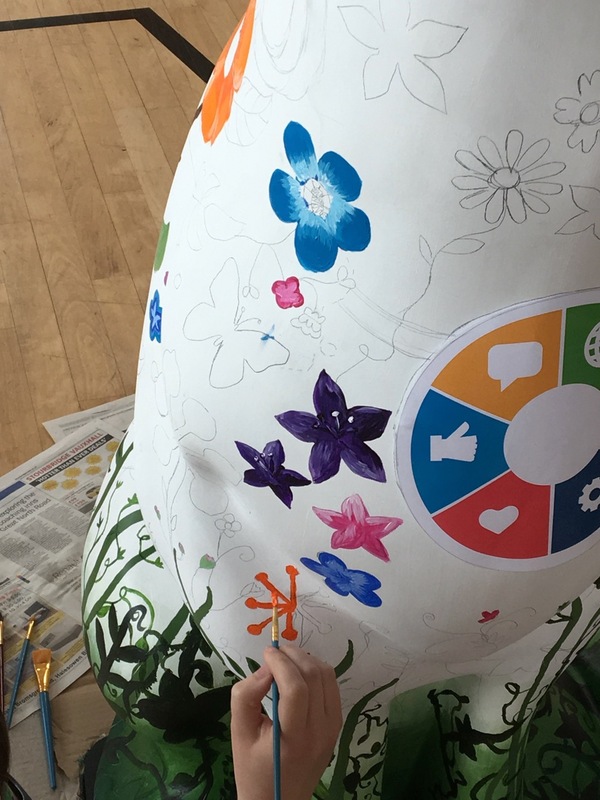 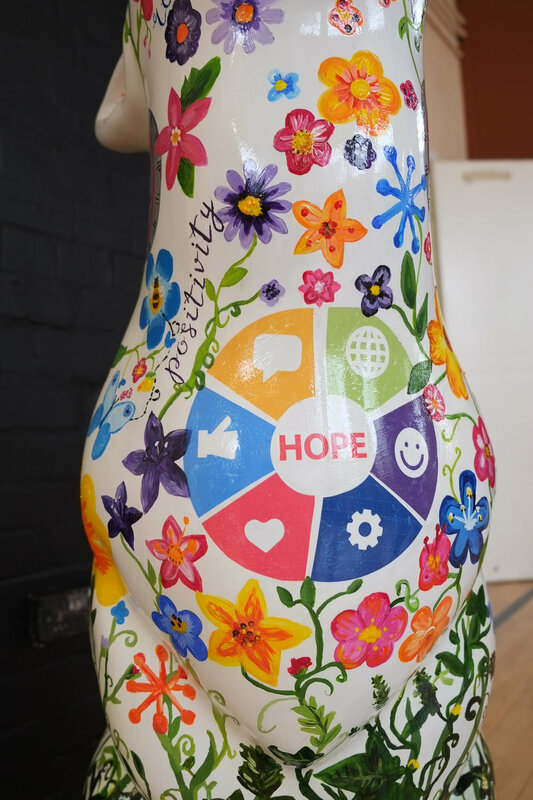 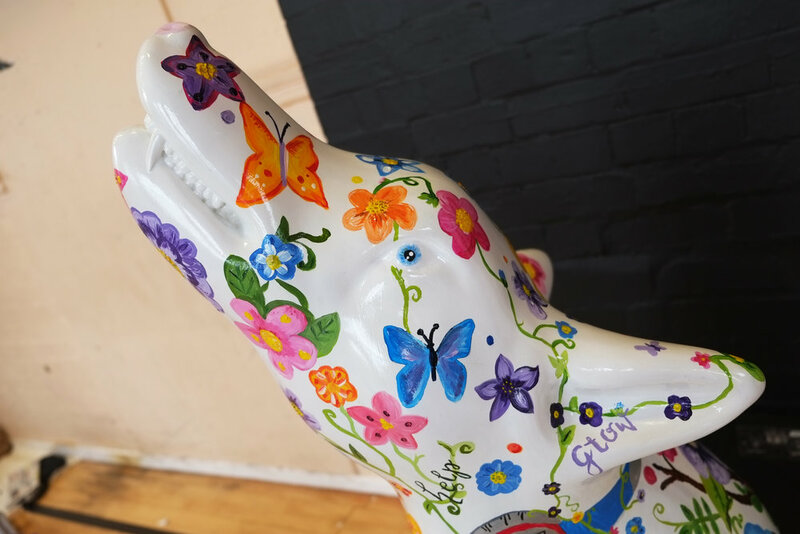 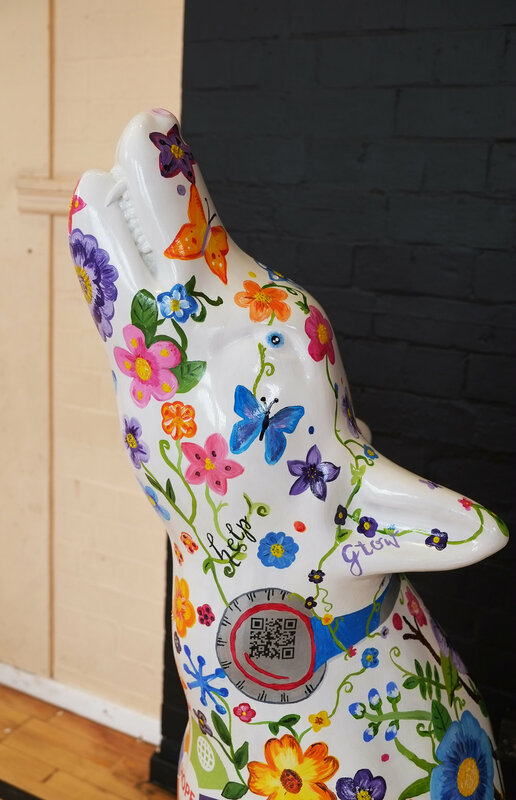 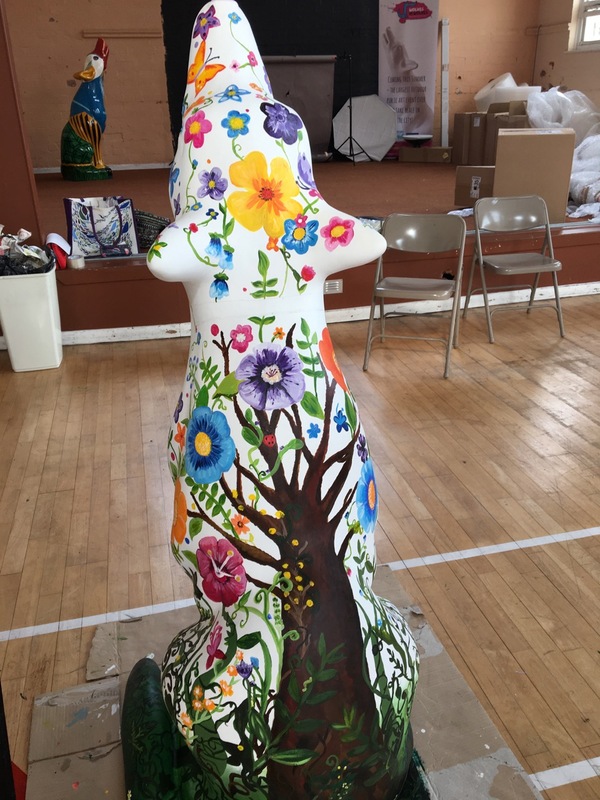 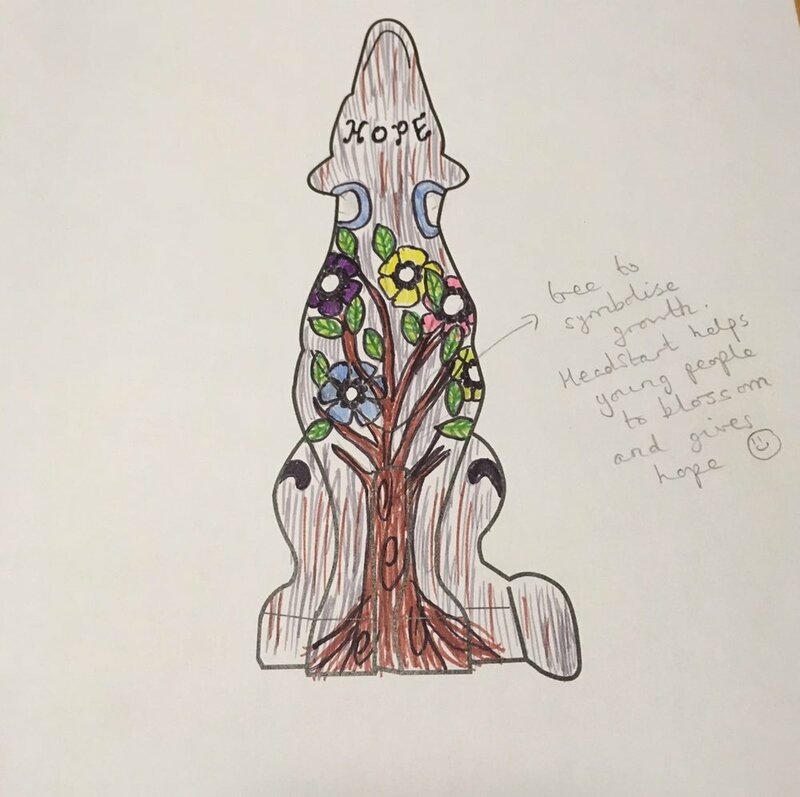 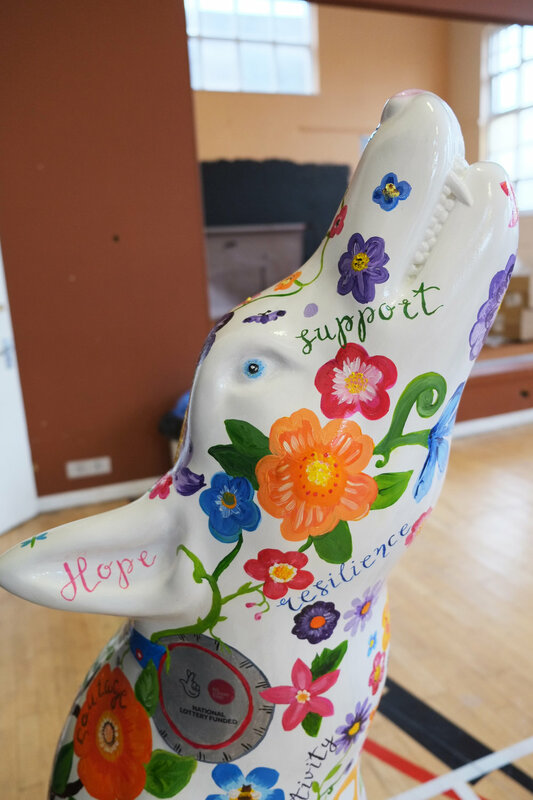 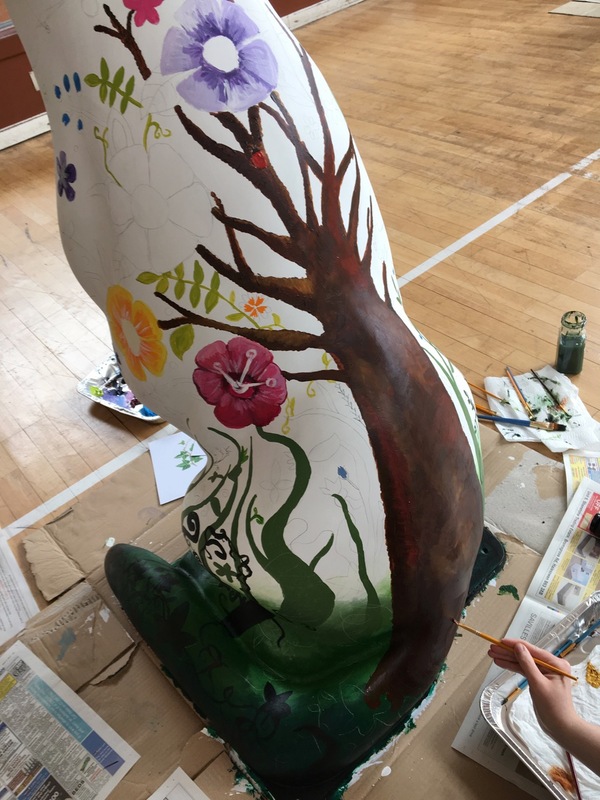 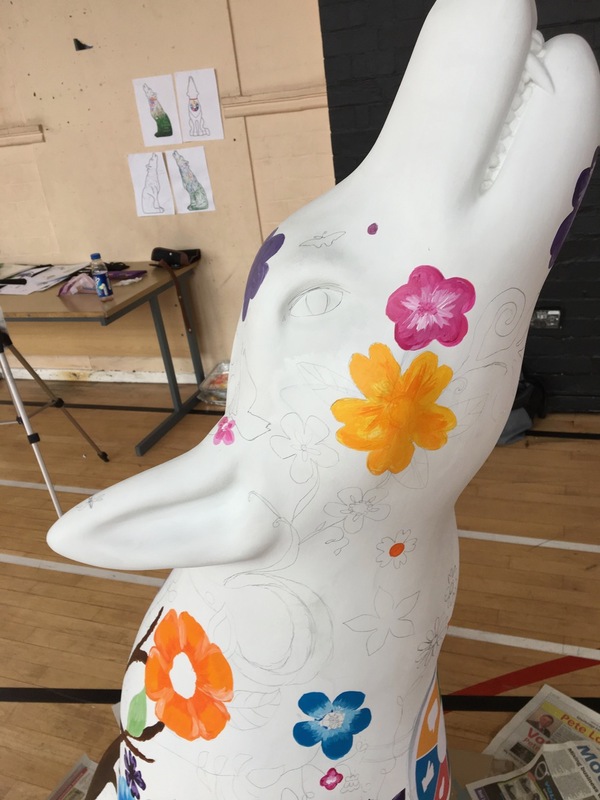 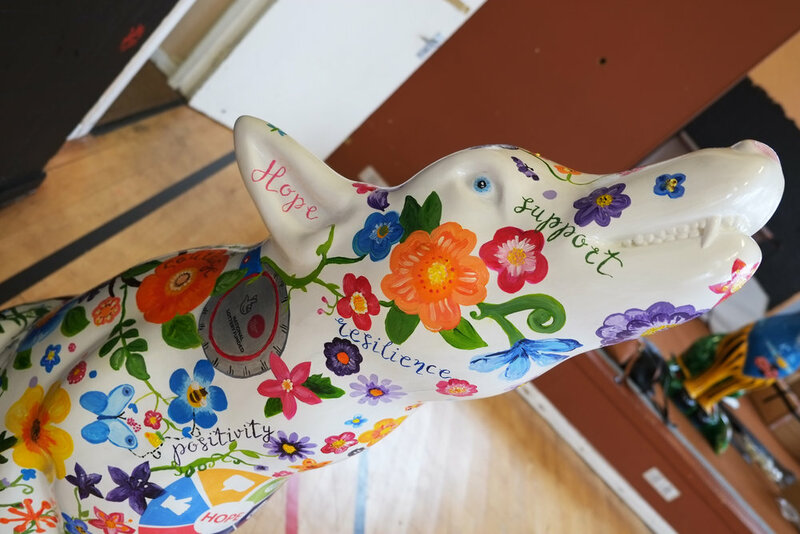 Pupils had to design a mascot, and explain how their design reflects the aims of HeadStart in improving the emotional well-being and resilience of young people. 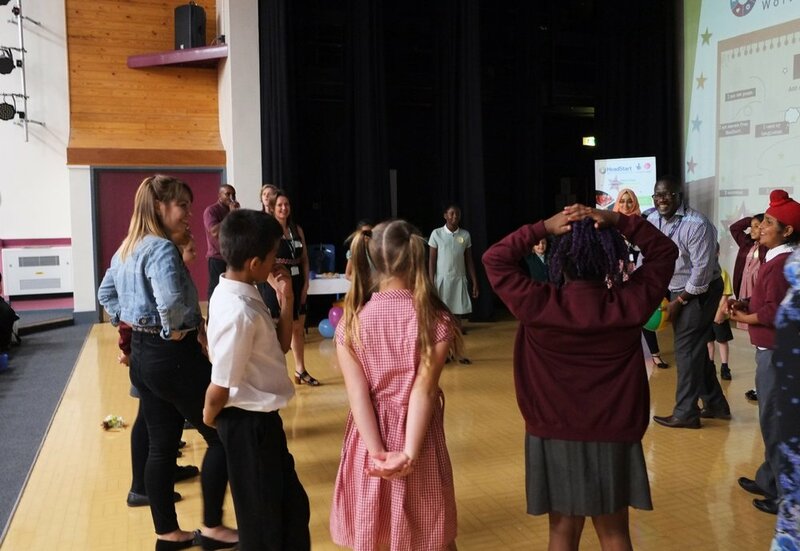 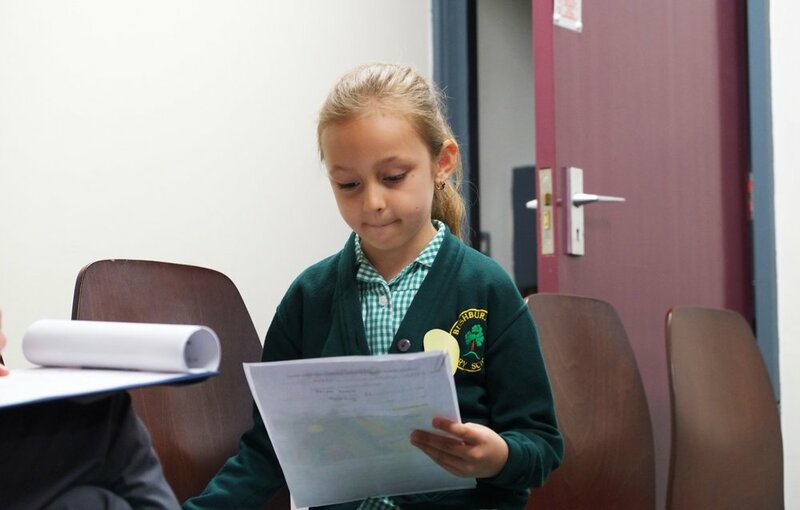 The competition received over 130 entries, and yesterday we brought together children from some of the schools that had participated to a celebration and judging event at one of our HeadStart secondary schools, Moreton Community School. 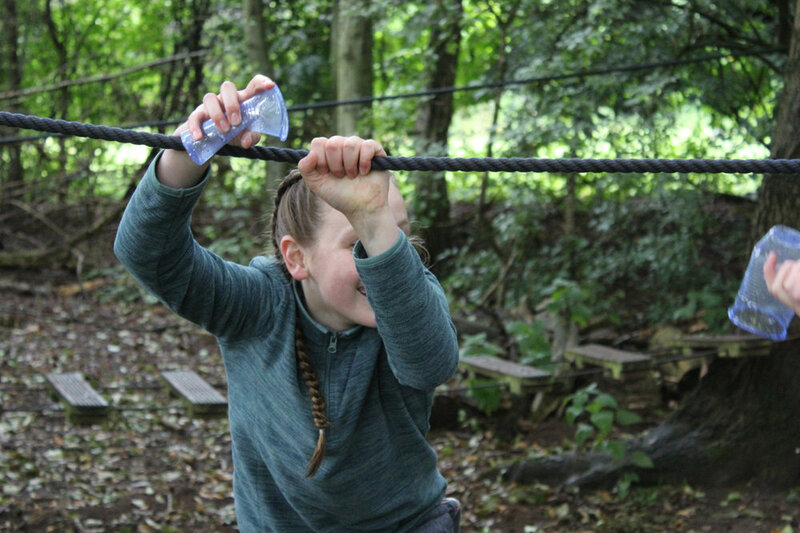 During the day, the children participated in a wide range of interactive activities, including drama, role-play, and team building games. 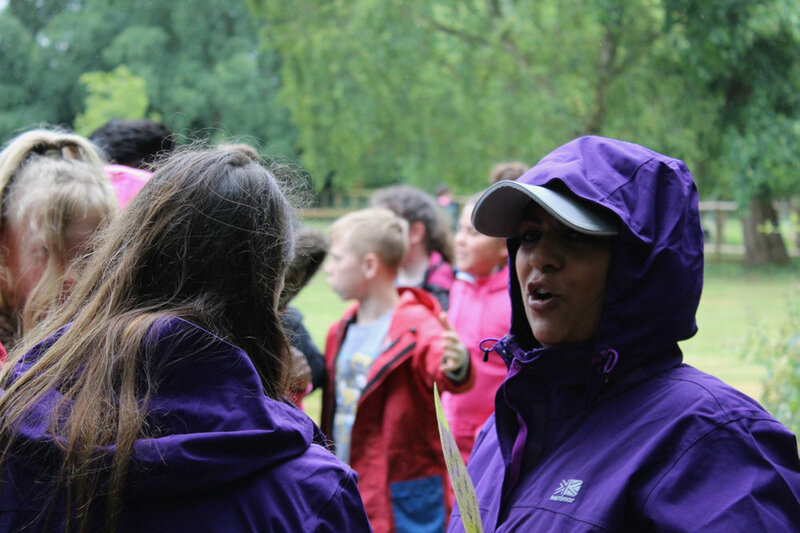 Activities were led by Dave Hill from Sumo, and members of the wonderful HeadStart Schools Team. 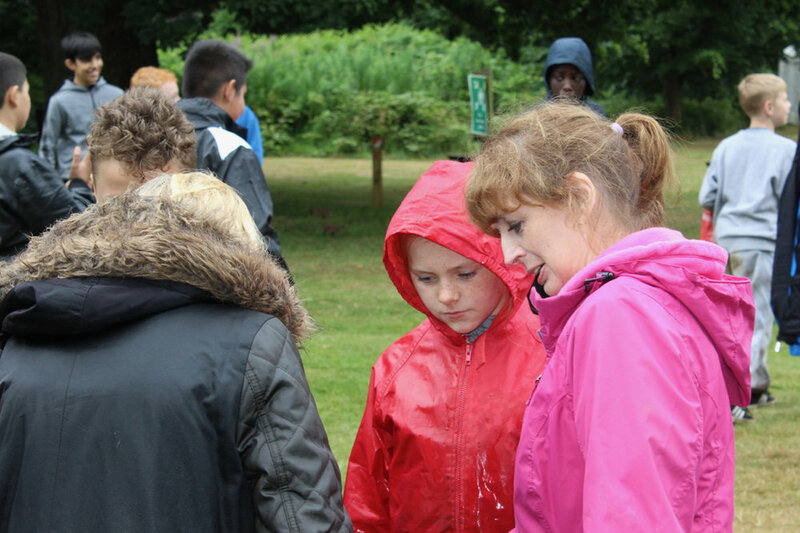 We were also pleased to be joined by Felicity from The Big Lottery Fund, and Councillor Claire Darke. 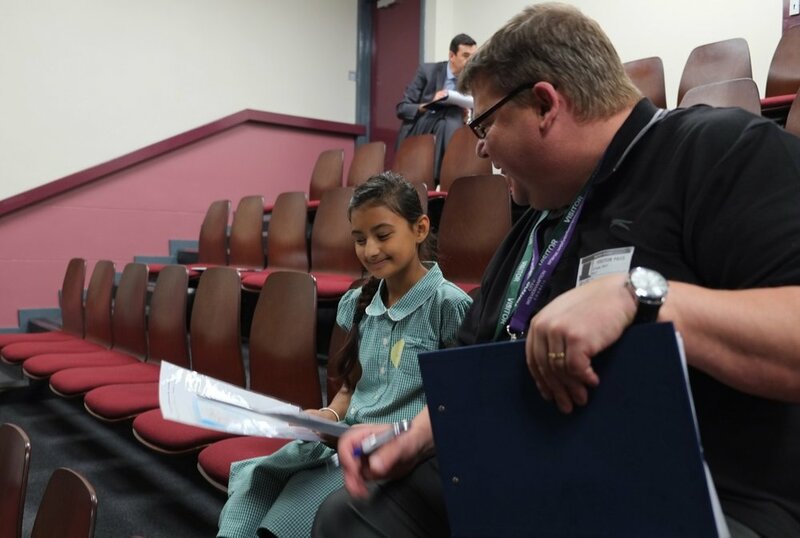 During the day, the children also met with the competition judges, to whom they had to explain their design, and how it met the brief of reflecting what HeadStart is all about. 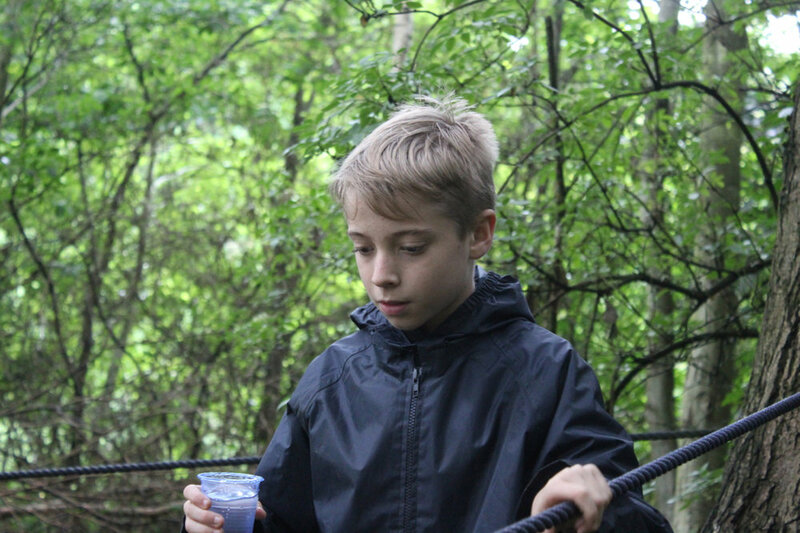 Is a hiker, who has stumbled many times trying to get to the top of the mountain. 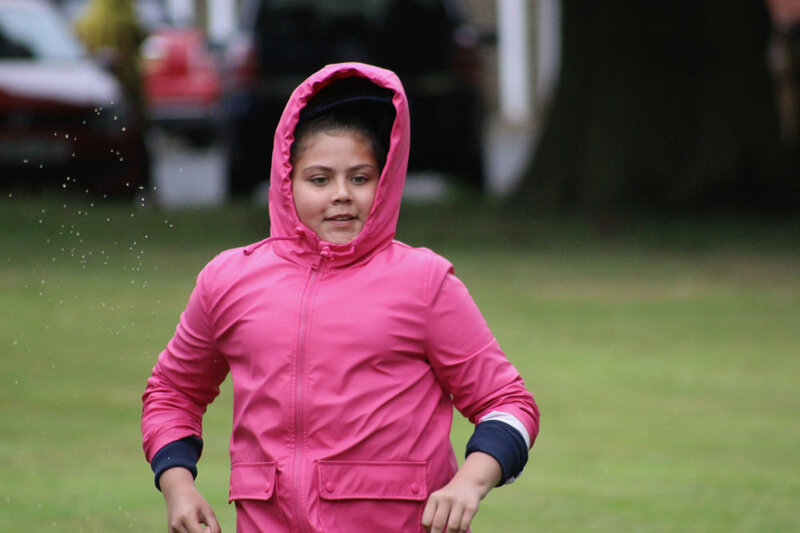 She never, ever gives up. 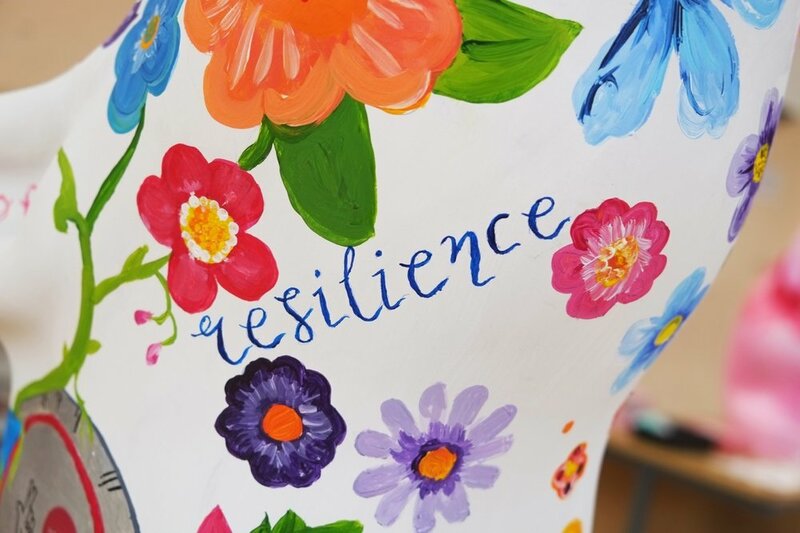 She is very resilient! 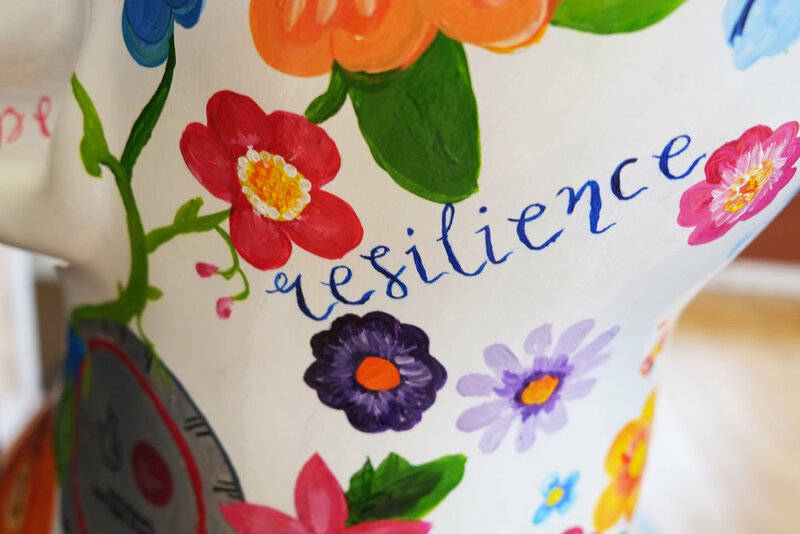 Resifibi - the winning entry! 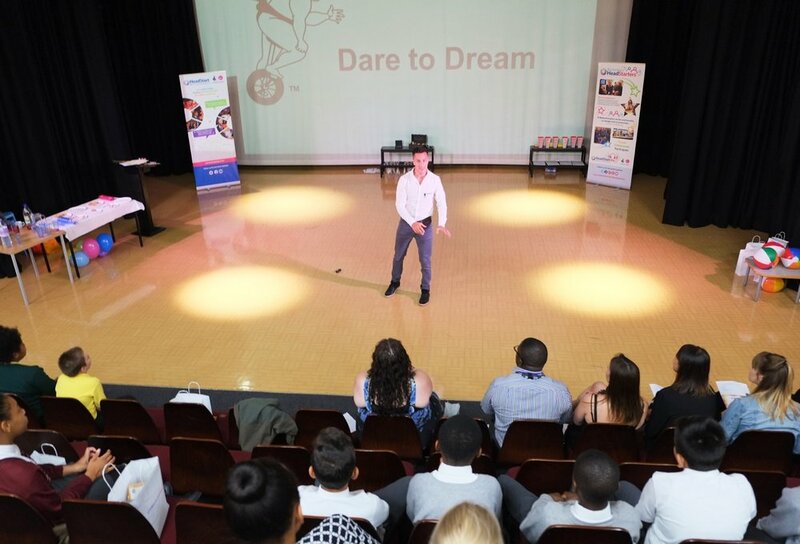 The day was a great success, with some wonderful feedback from the young people and teachers who attended. 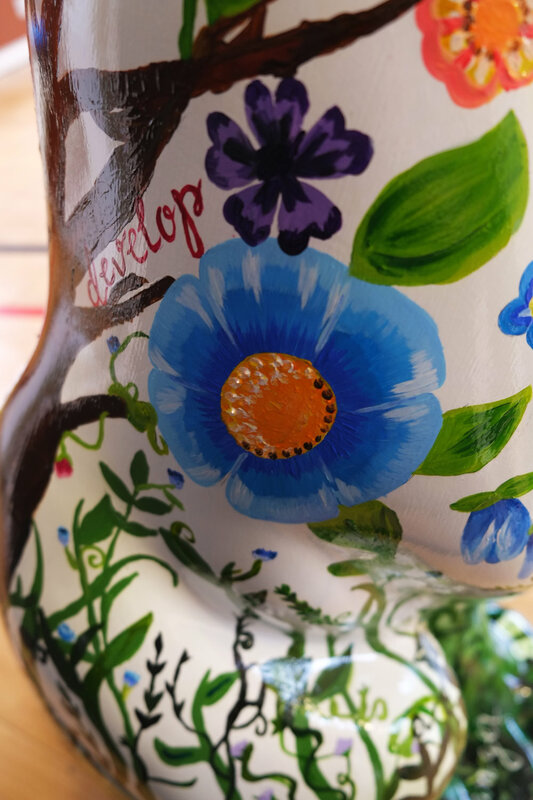 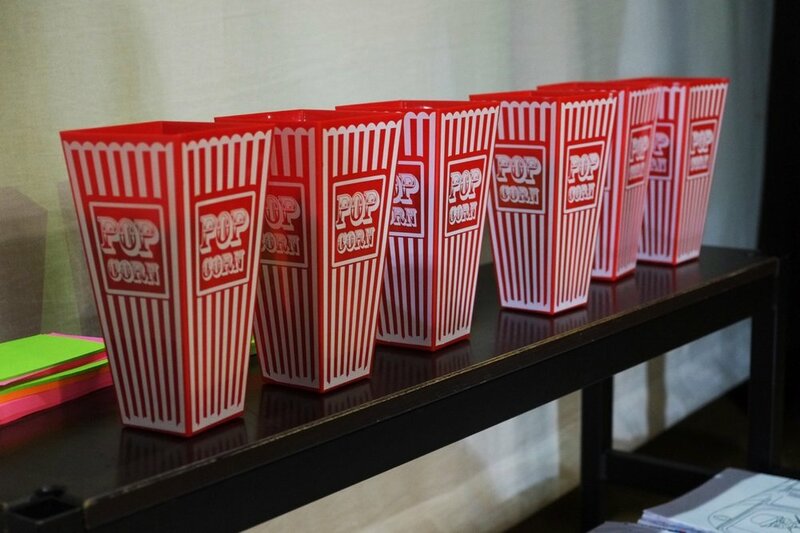 Many thanks to everyone who participated in the competition with us!